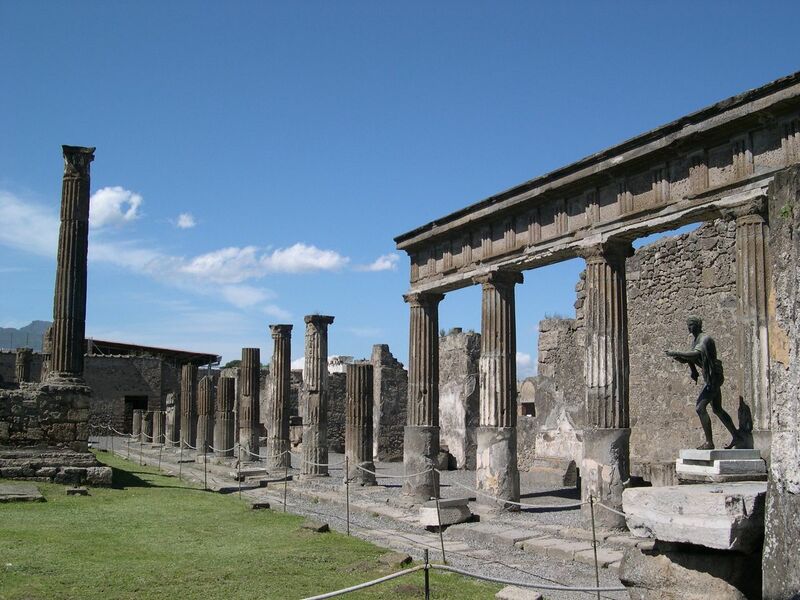 Pompeii is an amazing archeological site that showcases the day in the life of the Romans. 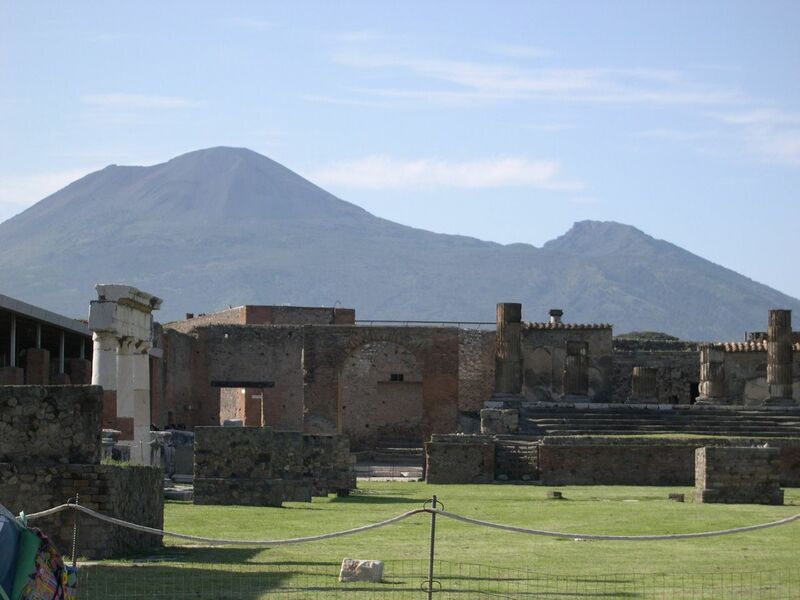 On that fateful day in 79AD the town was covered by ash and lava from the eruption of the overshadowing volcano, Vesuvius. 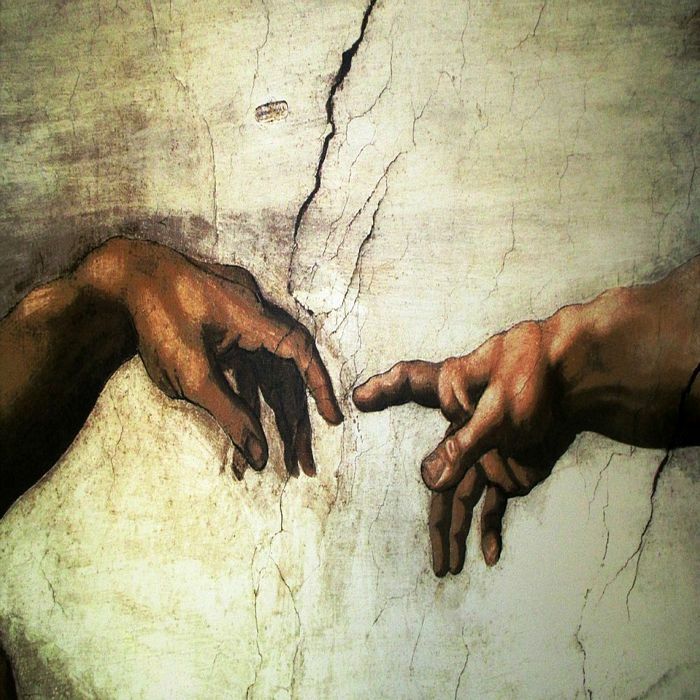 Everything stopped at that moment and was preserved for 1500 thousand years when it was first rediscovered. 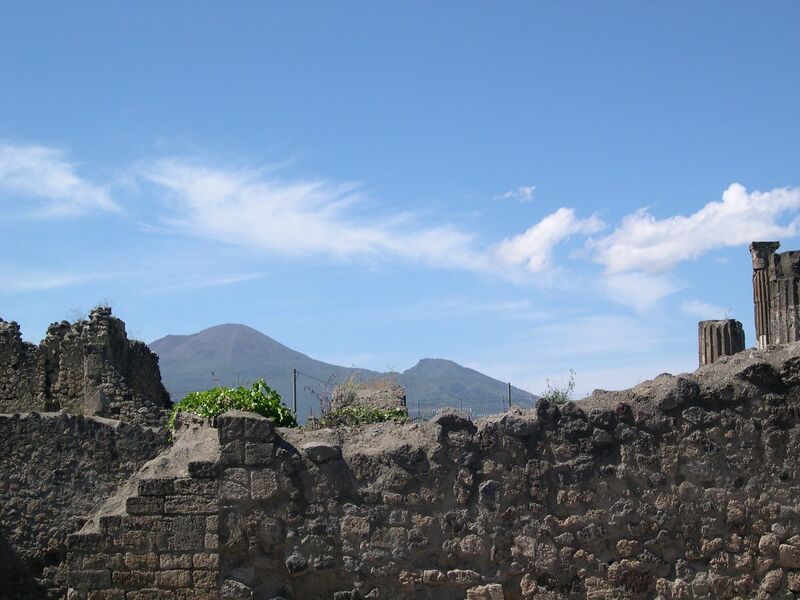 The ash and lava that spewed from the volcano tragically killed the citizens of Pompeii but due to the volcanic material which was soft, the city was wonderfully persevered. 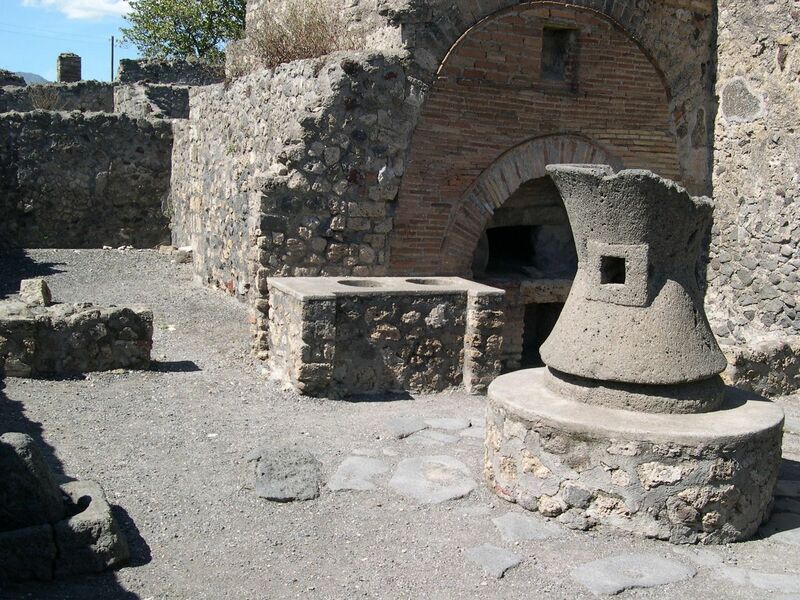 Not only the buildings but also the interiors of the houses and shops were left just as they were on that day creating a great opportunity to experience the daily life in Roman Pompeii. 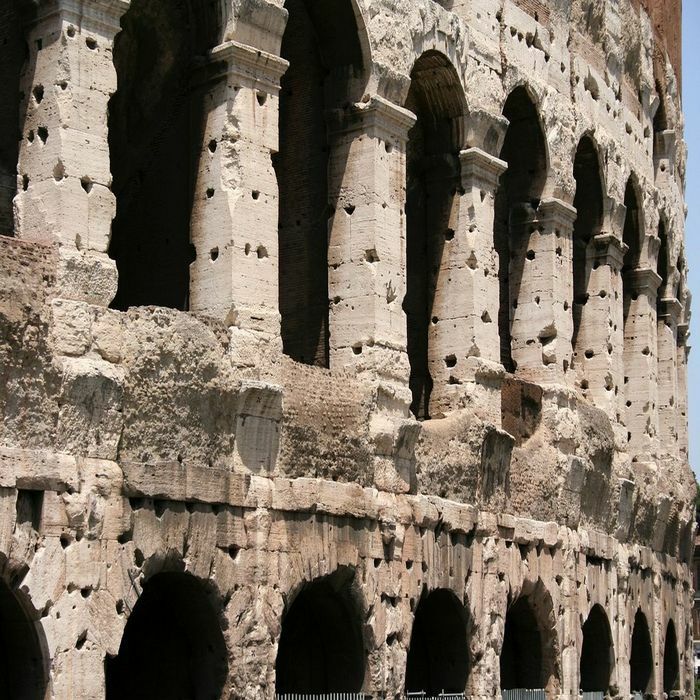 As you study the walls of the buildings you will find painted messages or advertising for an electoral campaign. 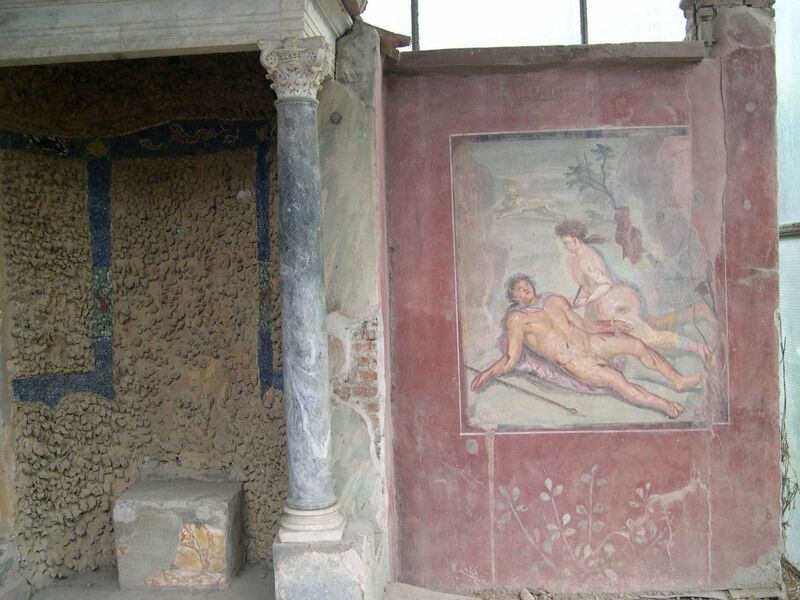 On other walls there are crude jokes directed at particular people. 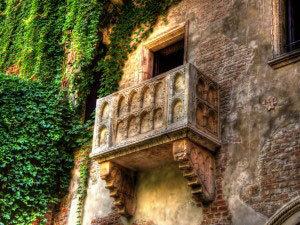 On the shop walls and entrances you can find the service or product sold there and the name of the owner. 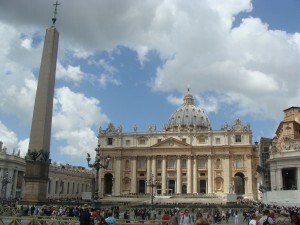 All this gives a fascinating insight into the culture and social fabric of the people of the city. 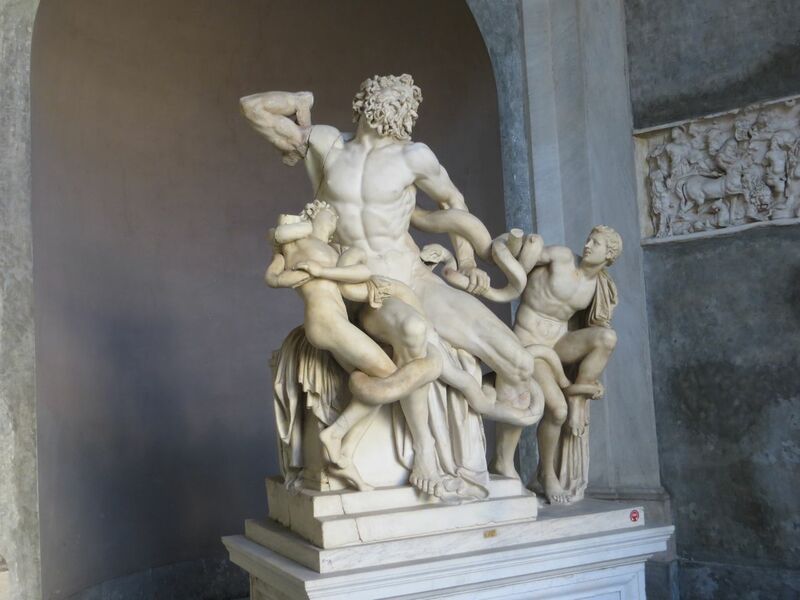 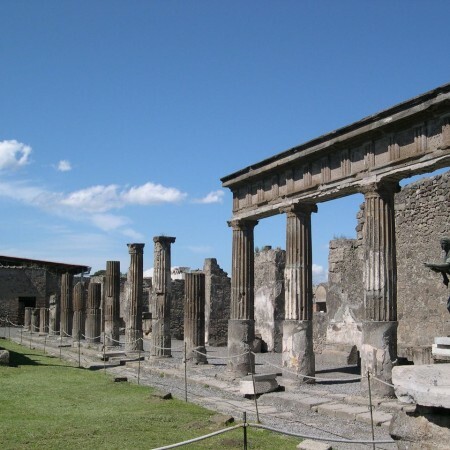 Categories: Places to Visit, Sightseeing Tours of Pompeii, Sightseeing Tours of Pompeii, Sightseeing Tours of Pompeii and Naples. 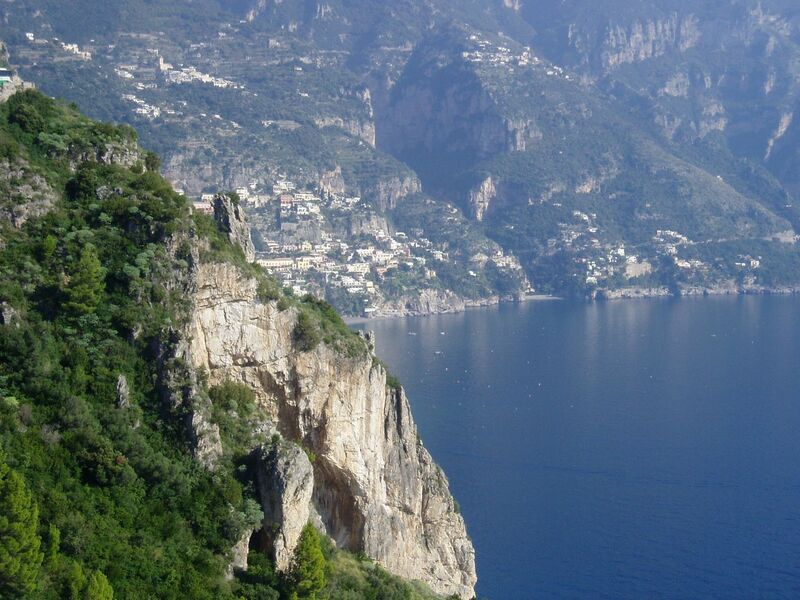 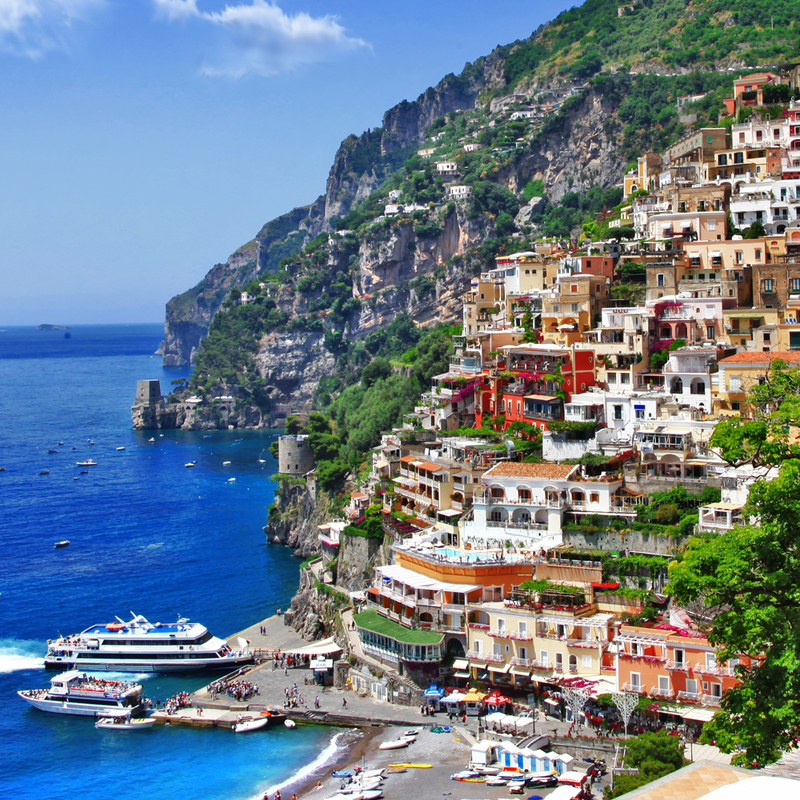 Tags: Day Trips From Sorrento, Mt Vesuvius, Naples, Pompeii. 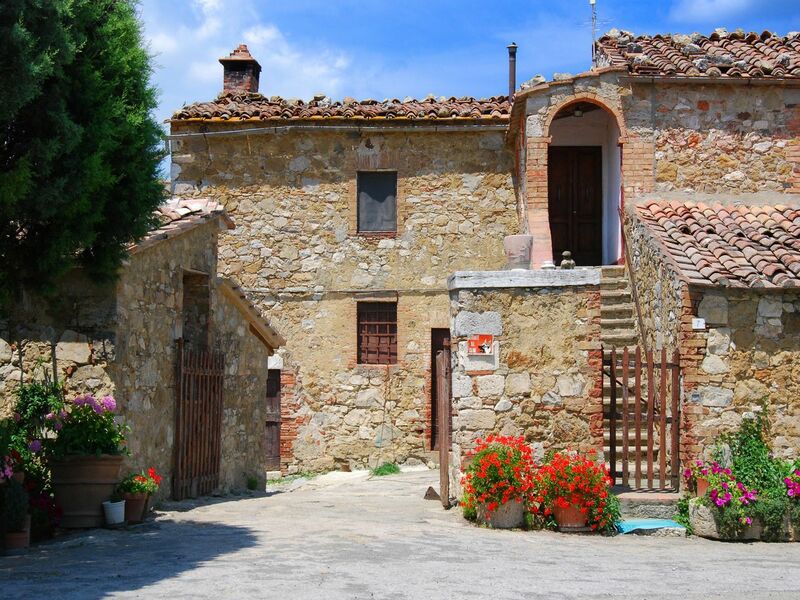 On the outskirts of the town you can view working class and peasant houses and workshops. 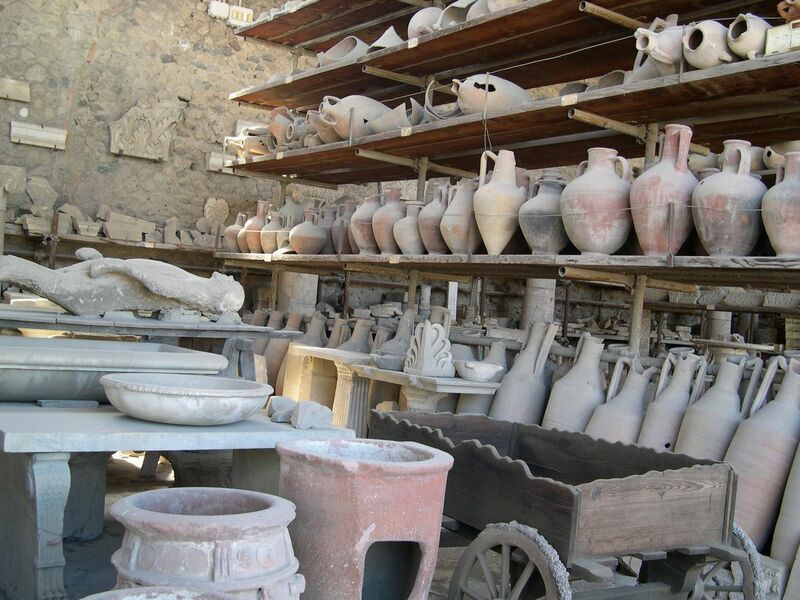 You can still see furniture and tools and kitchenware inside the homes. 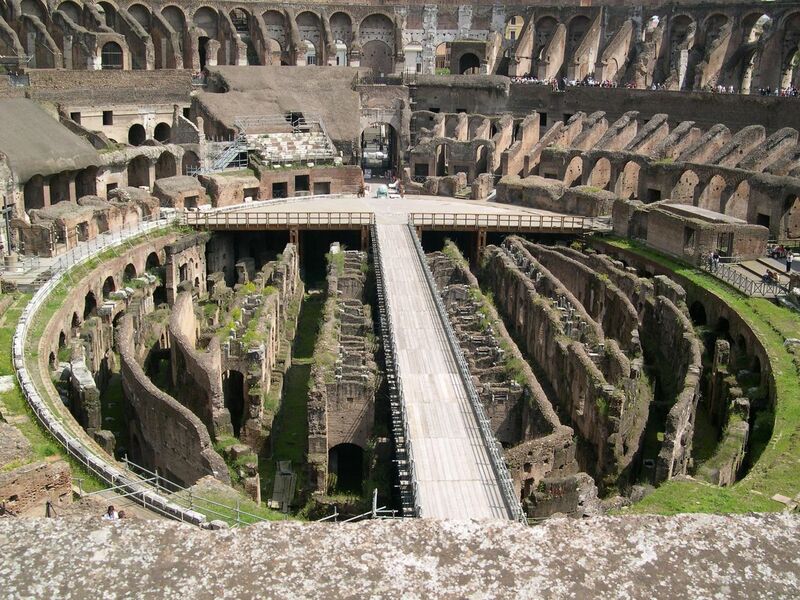 Also in this area are the brothels what are very clearly marked. 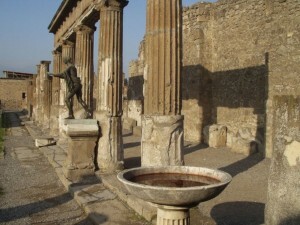 Pompeii was first discovered in the 16th century but it was not until 1738 that excavations began in a systematic way. 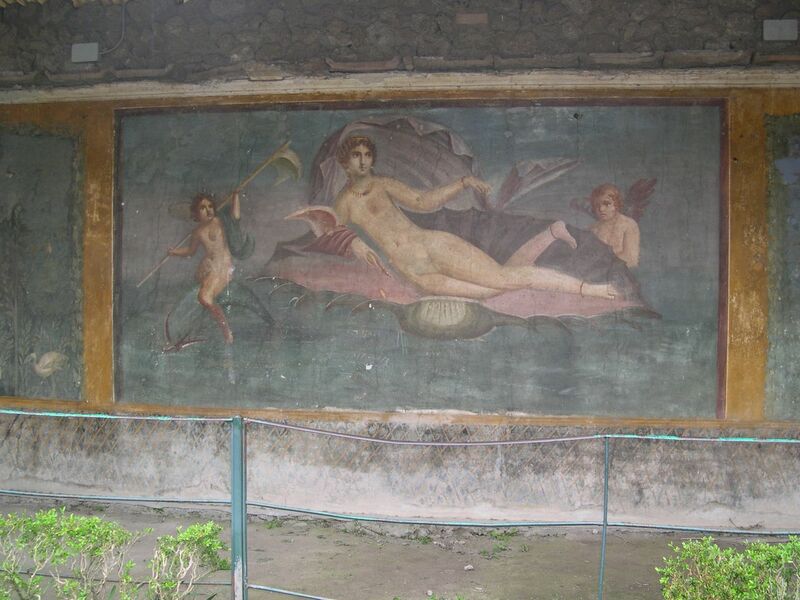 For over 250 years now Pompeii has had a steady stream of visitors. 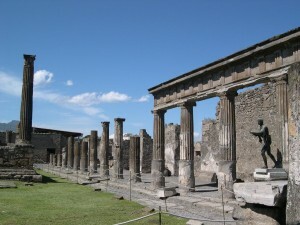 In 1997 Pompeii was designated part of the UNESCO World Heritage sites. 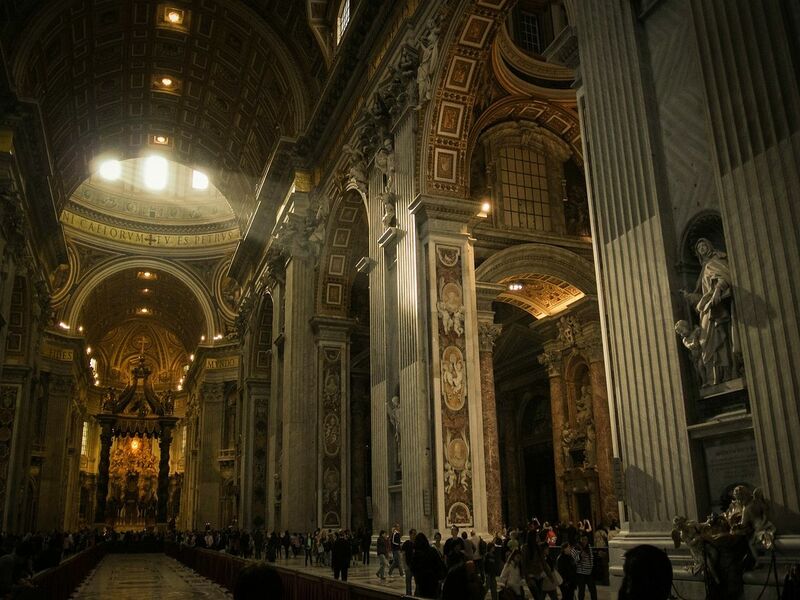 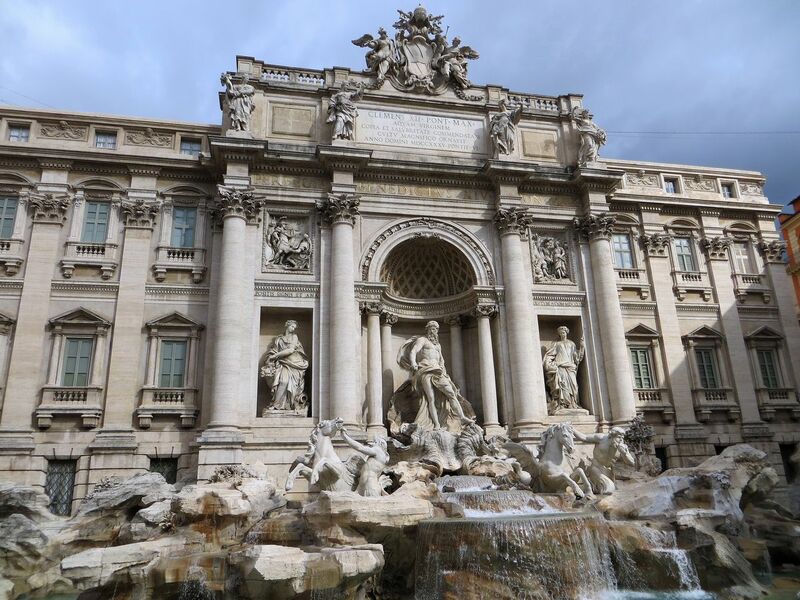 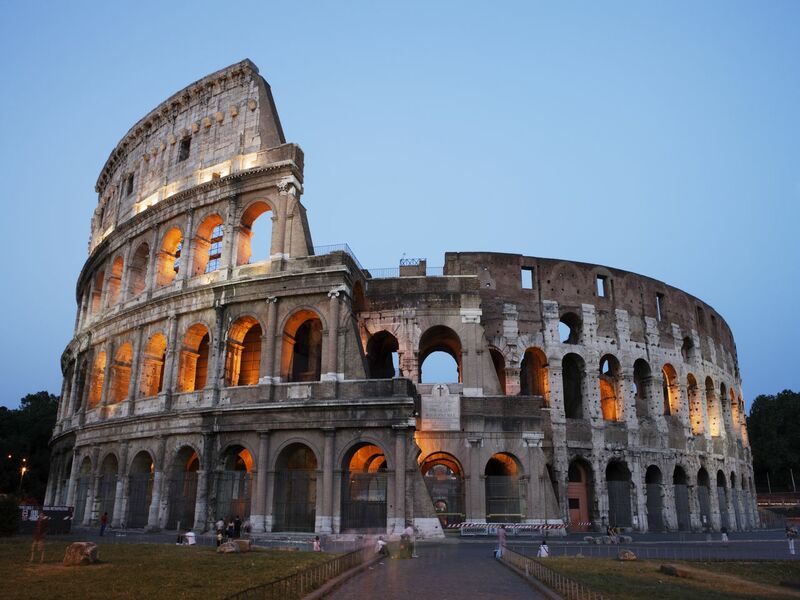 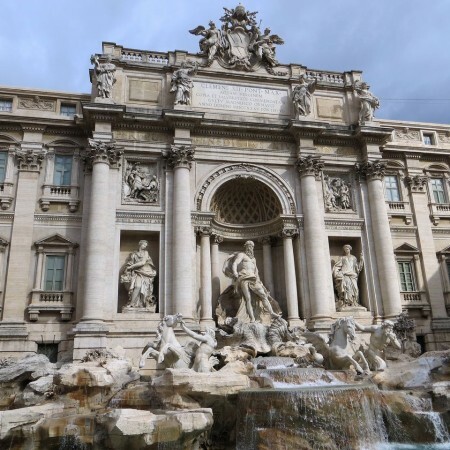 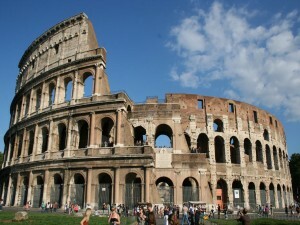 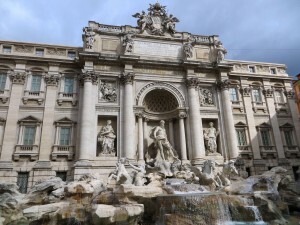 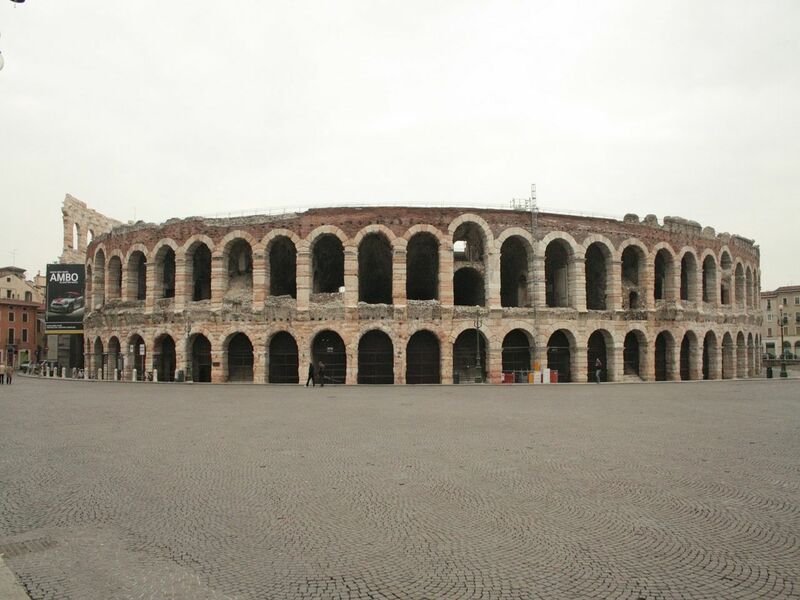 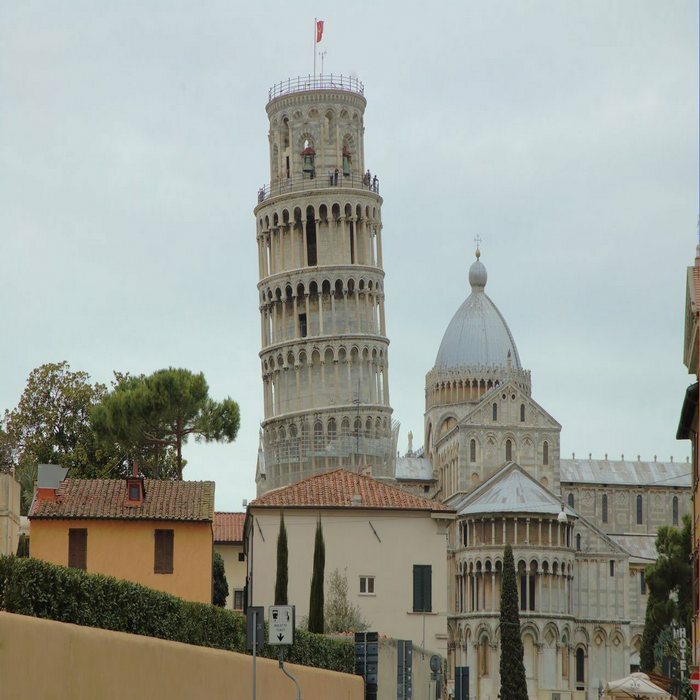 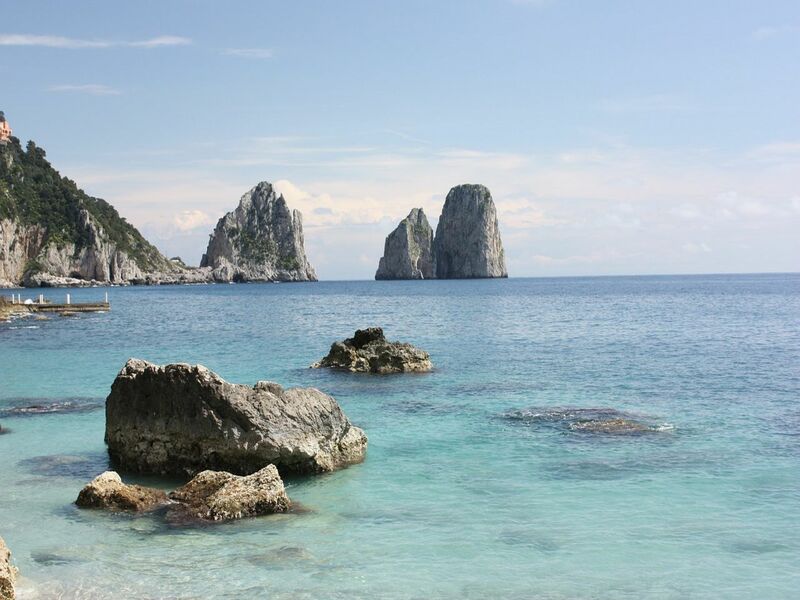 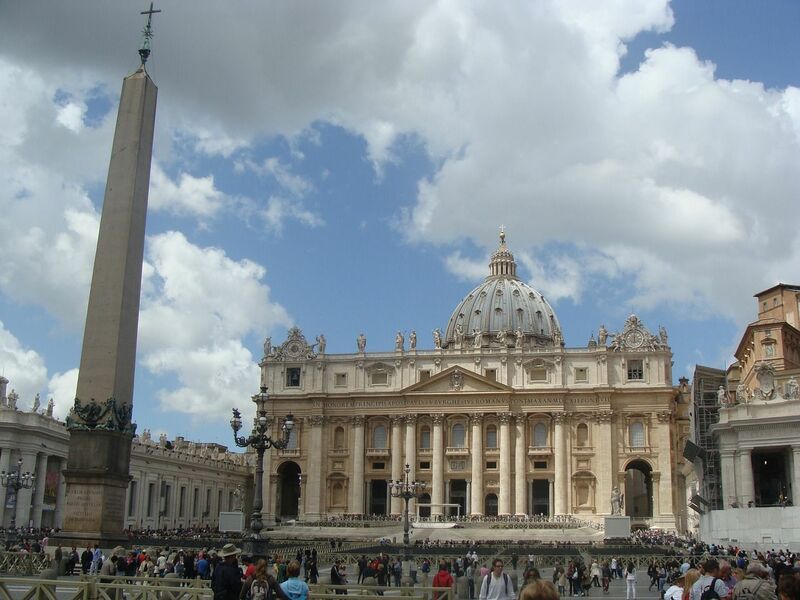 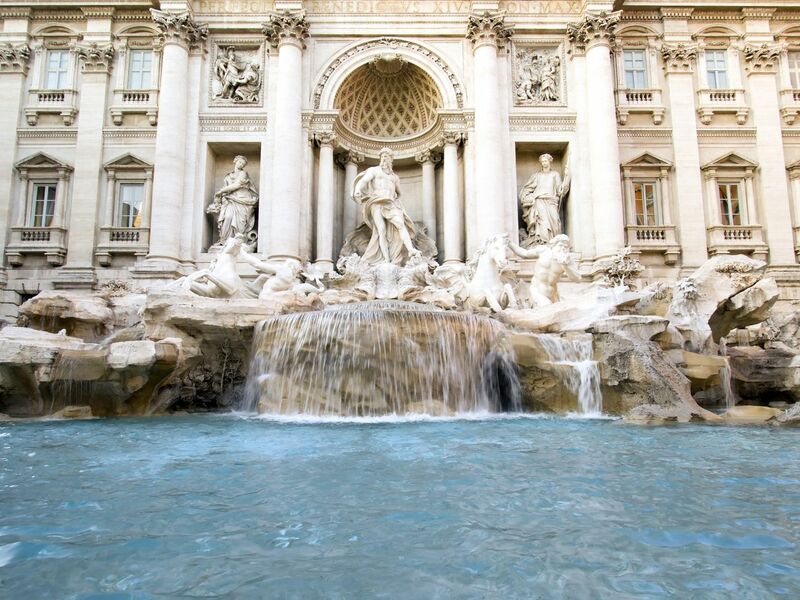 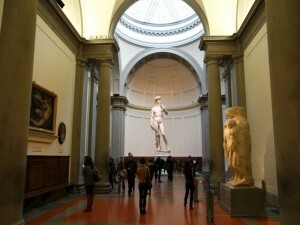 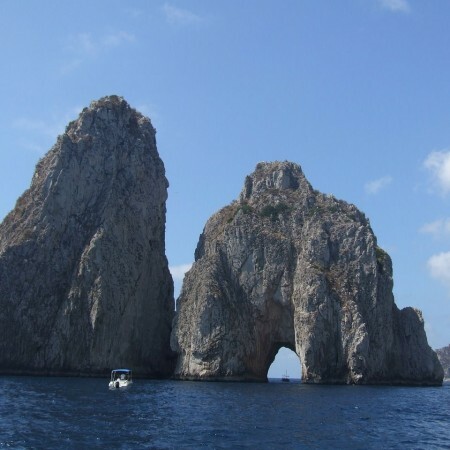 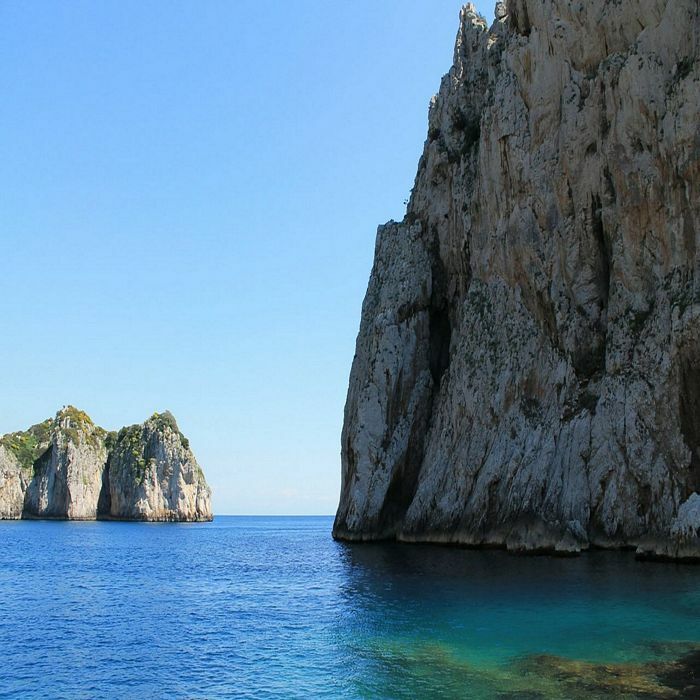 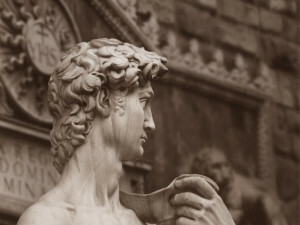 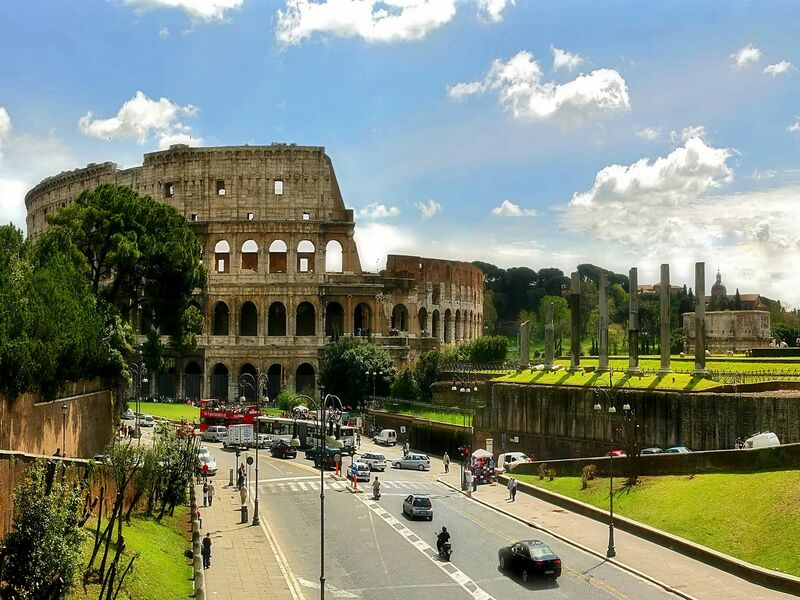 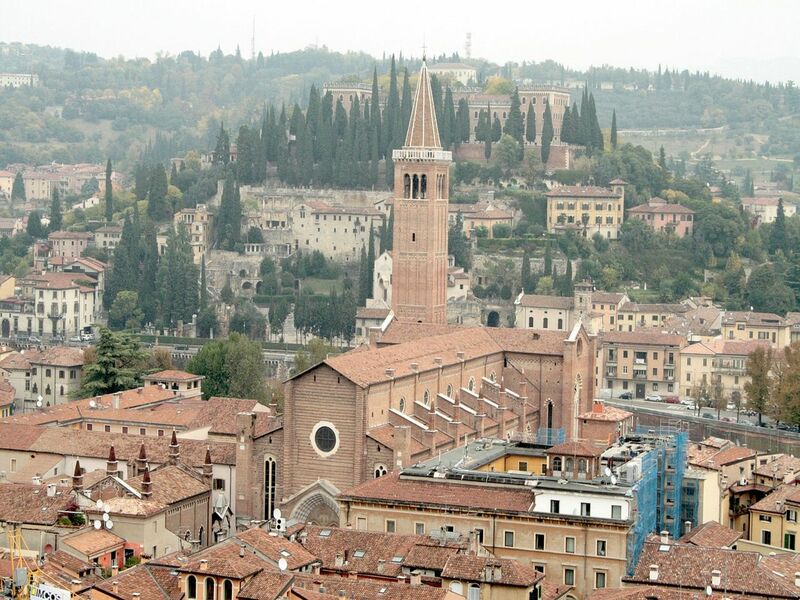 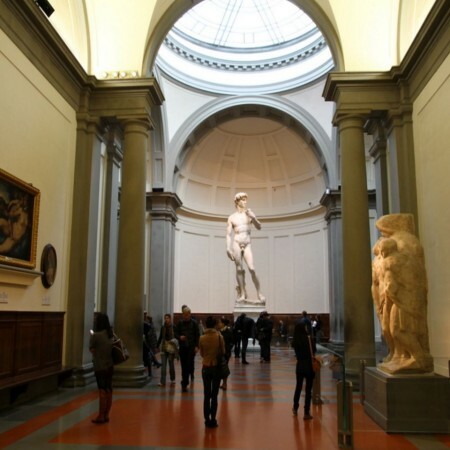 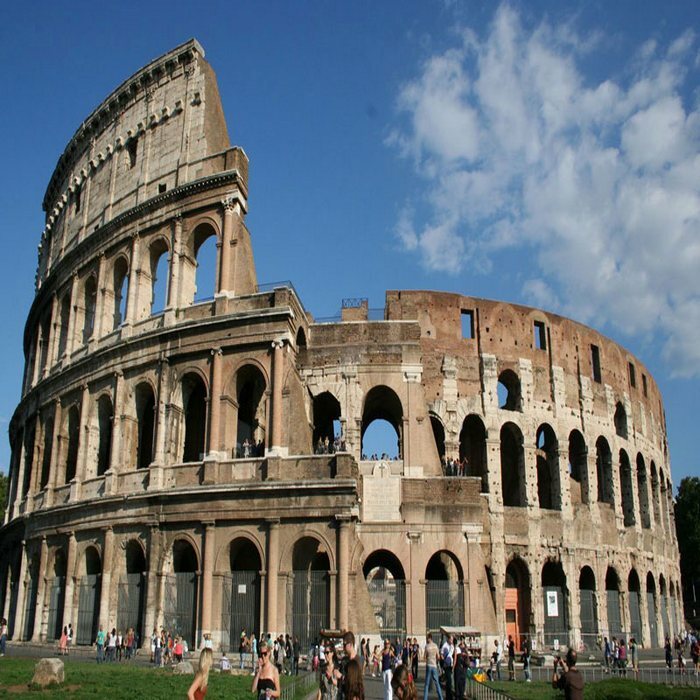 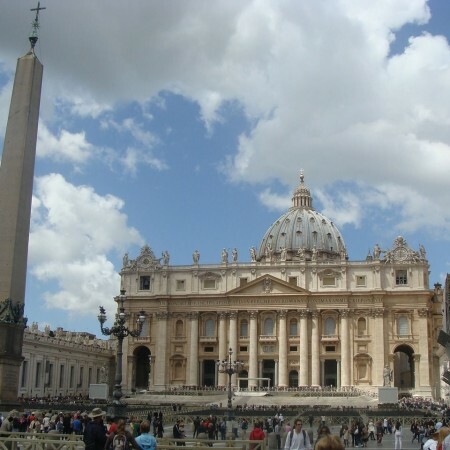 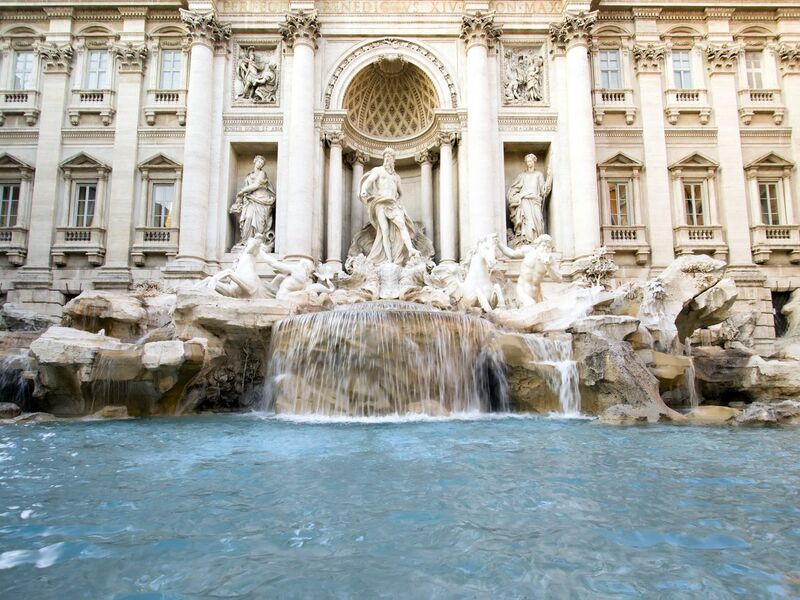 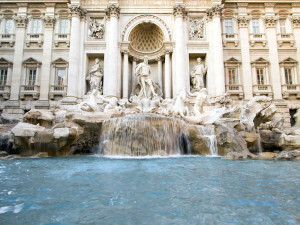 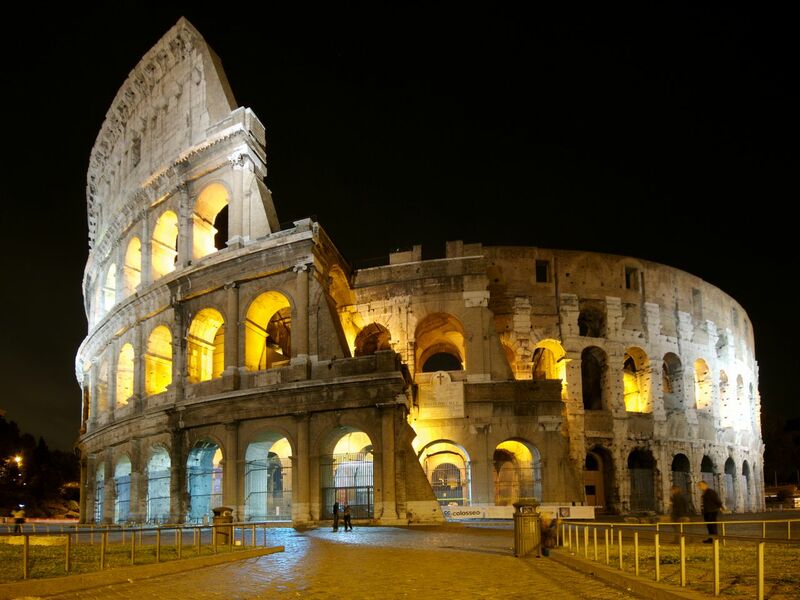 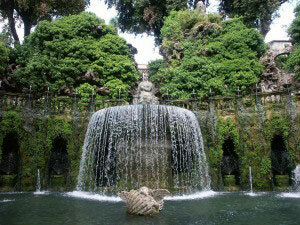 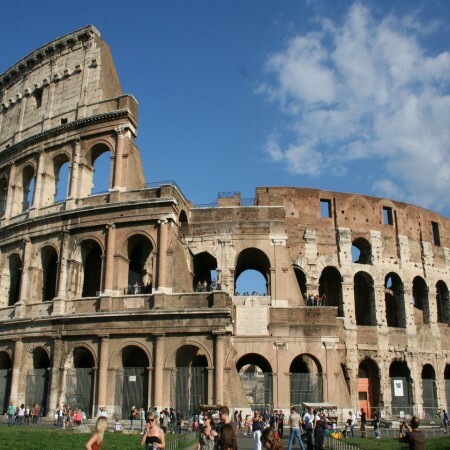 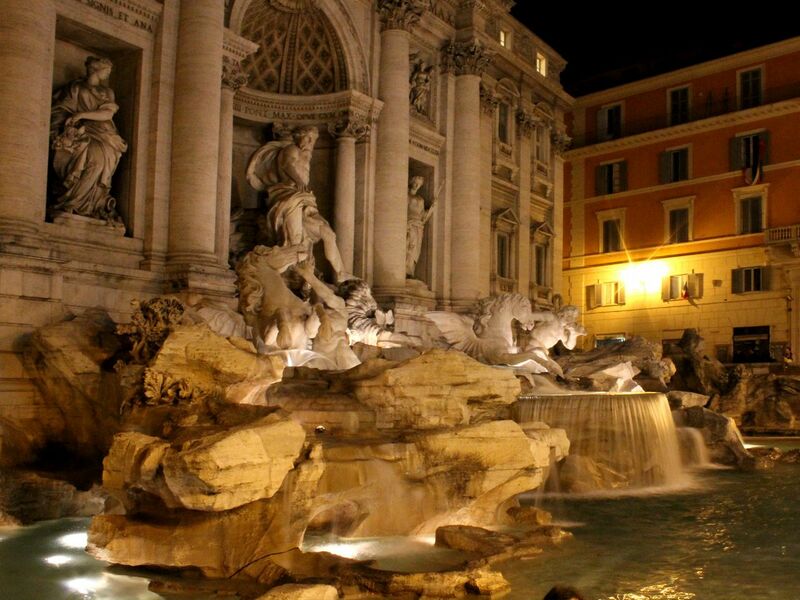 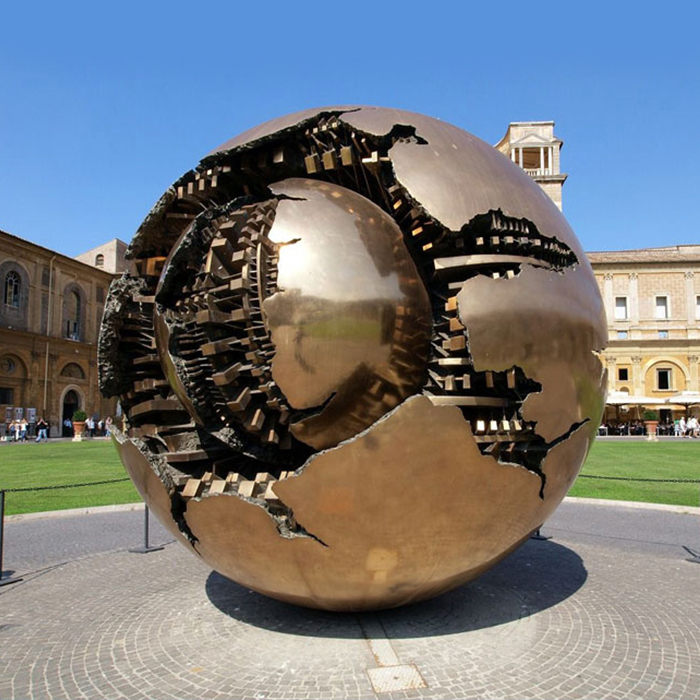 It is one of the top attractions in Italy drawing over 2.5 million visitors. 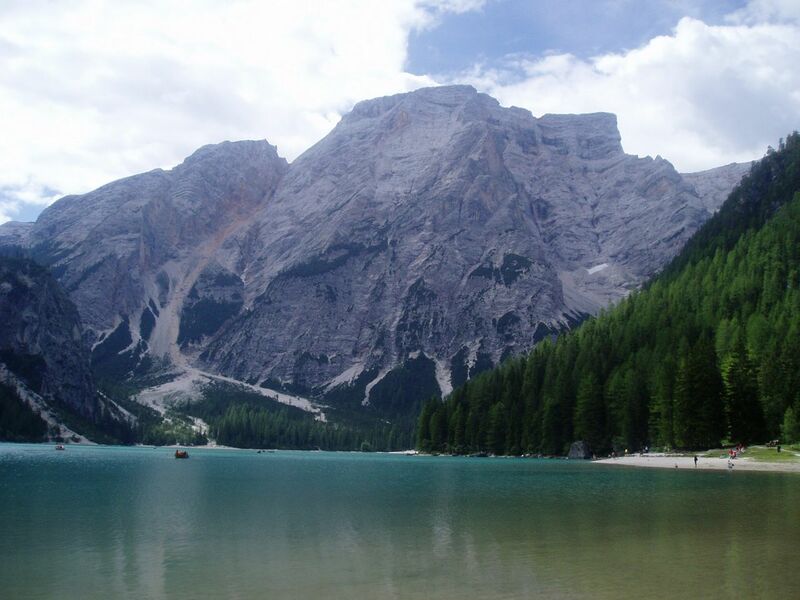 In the northern part of Italy, in the Eastern Alps, are some of the most beautiful mountains in the country: the Dolomites. 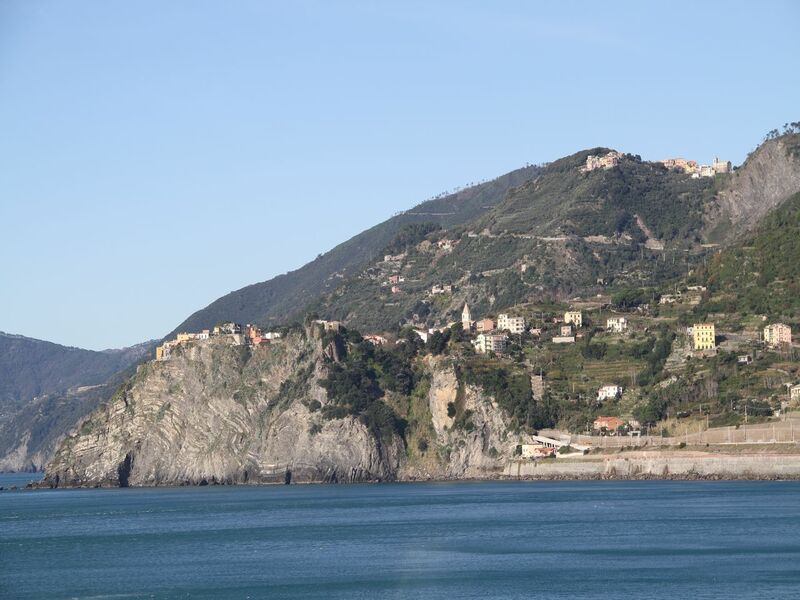 These mountains are a little bit different from the rest of the Alps because of the minerals that compose it, giving them a light pink, coral and light red color when the sun sets. 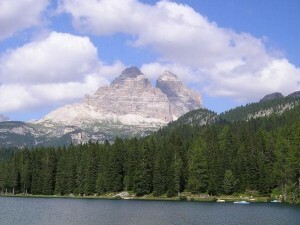 In 2009, the Dolomites Mountains were registered on the UNESCO World Heritage Sites List. 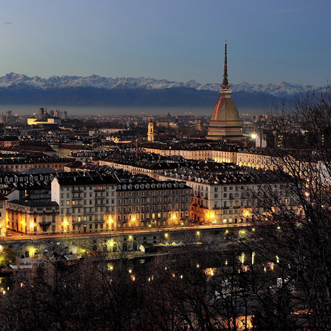 The Dolomites are located near Austria and are spread over three regions: Trentino-Altino-Adige, Veneto and Friuli. 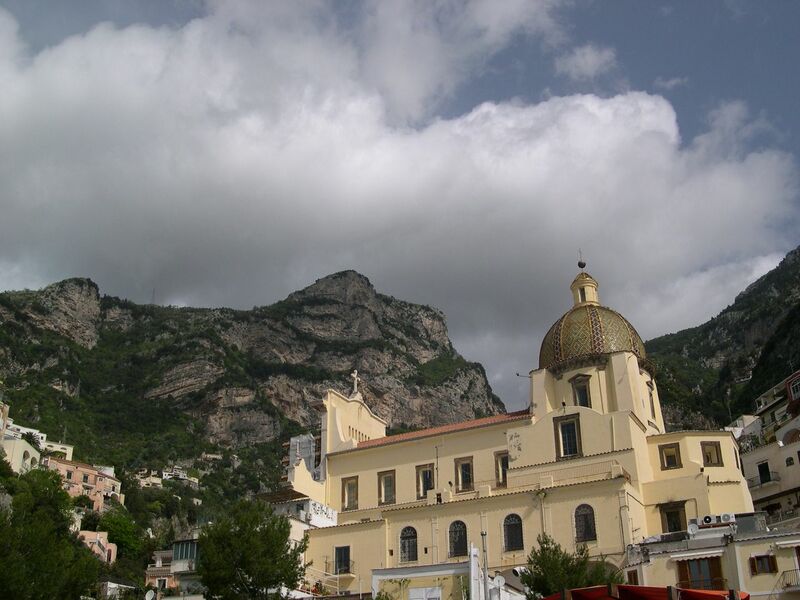 Several charming villages and ski resorts are located near or on the slopes of the mountains. 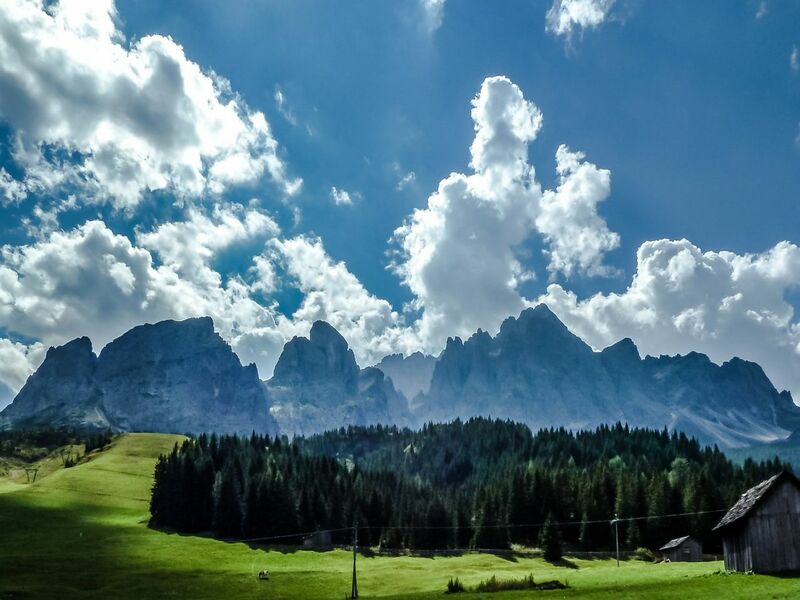 The Dolomites are the perfect region for sport lovers: during the summer it is possible to go hiking, parachuting and paragliding while during the winter, skiing is one of the most popular sports. 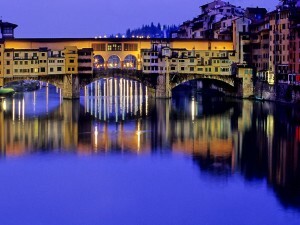 Categories: Places to Visit, Sightseeing Tours of Dolomities. 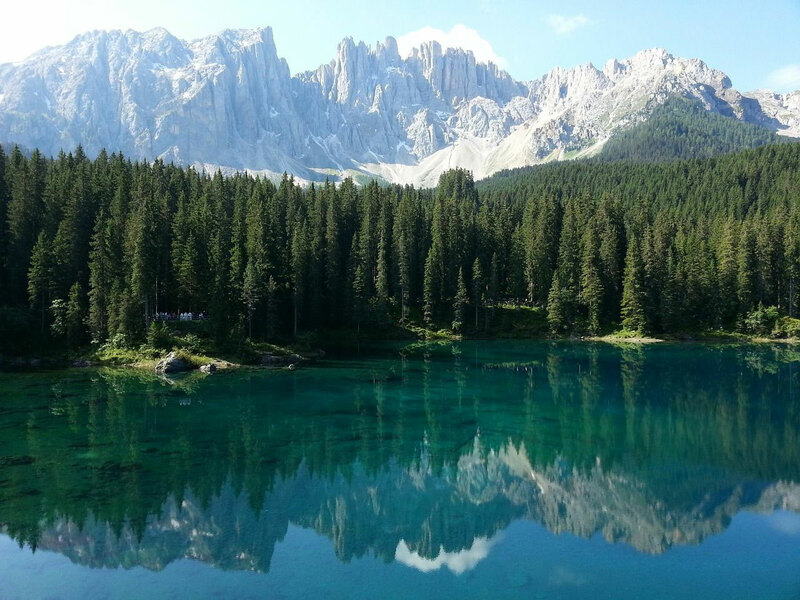 Tags: alps, Cortina, Dolomities, Lake Misurina, Veneto. The highest summit of the Dolomites is the Marmoada with its 3343 meters in height but in fact, the Dolomites boast 18 different summits reaching higher than 3000 meters. 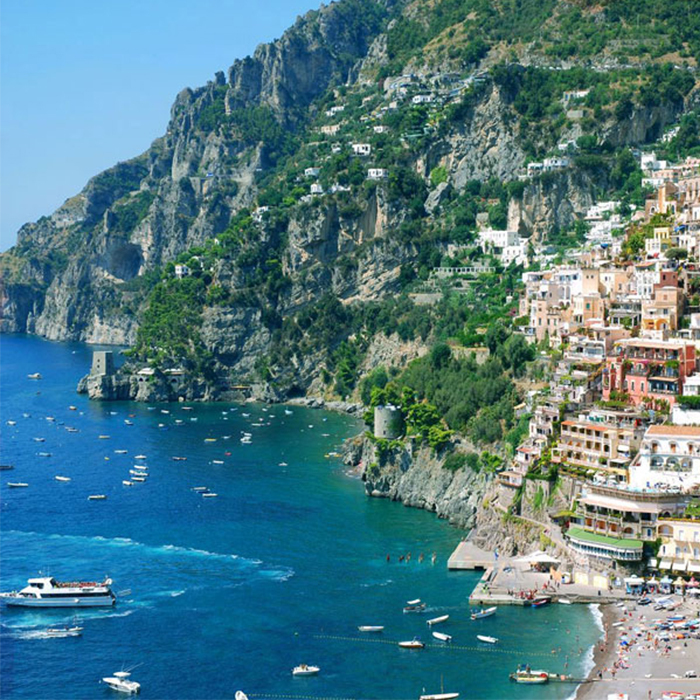 As such, this region offers visitors many breathtaking panoramas over the mountains, valleys and clear water lakes. 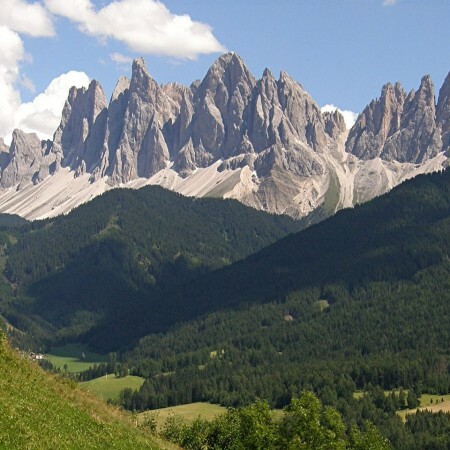 It is unsurprising then that there are several legends related to the Dolomites Mountains, most of them involving kings, princesses, fairies and elves. 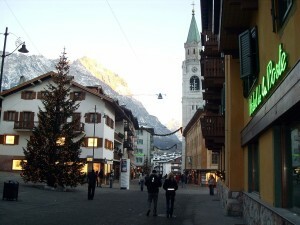 While the population in the Dolomites is technically Italian, they consider themselves Tyrol people. 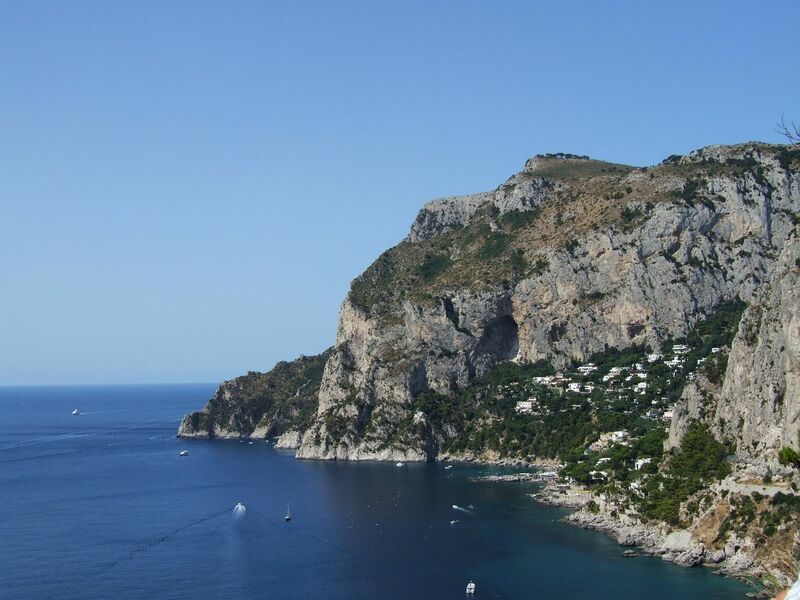 In this region there is also a small population that speaks Ladin. 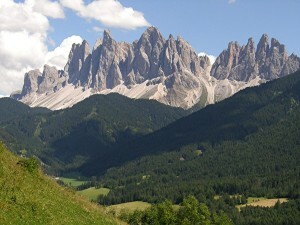 Ladin is a language composed of a number of dialects, related to Swiss Romansh, and spoken almost uniquely in this area. 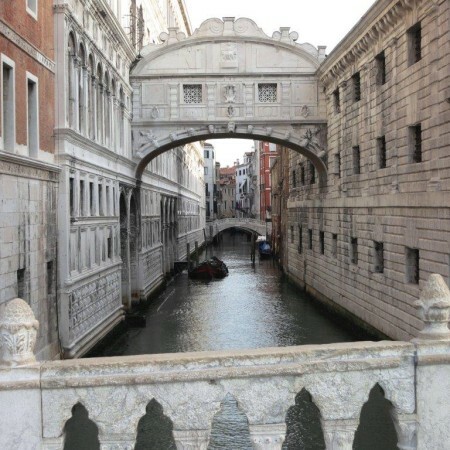 Il Ponte dei Sospiri (“the Bridge of Sighs”) is one of the smallest and most famous bridges in the world, its mere 11 meters linking the courthouse to the jail. 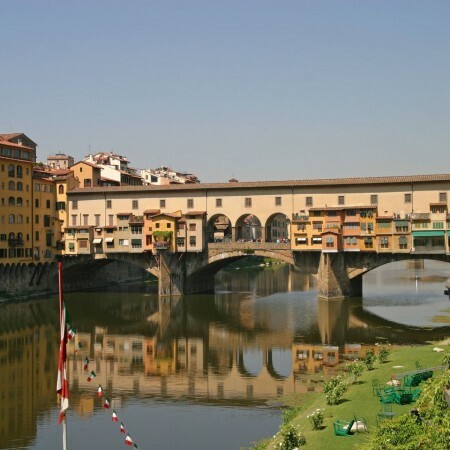 The bridge gets its name from the prisoners who were going to the courthouse or coming back to the jail –although prisoners were often convicted to death and would yell more than sigh. 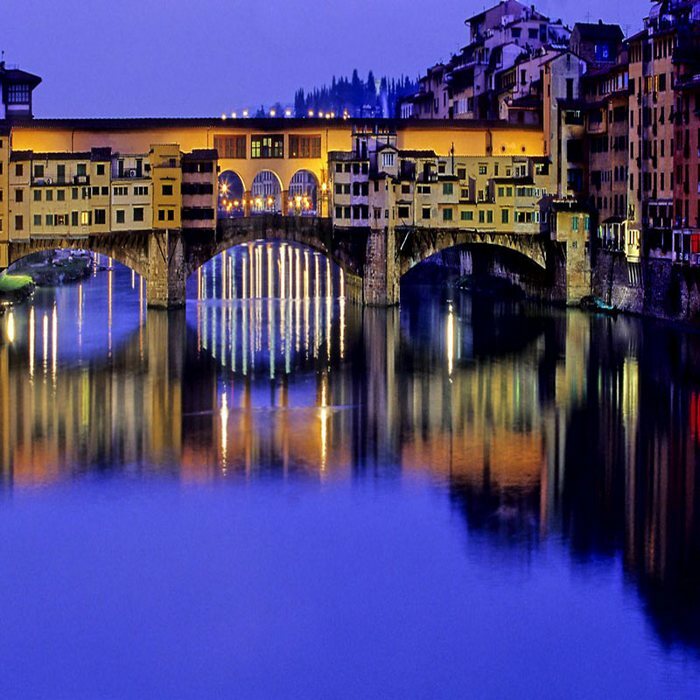 Stretching over the canal called Rio de Palazzo, it was built in 1600 out of white limestone. 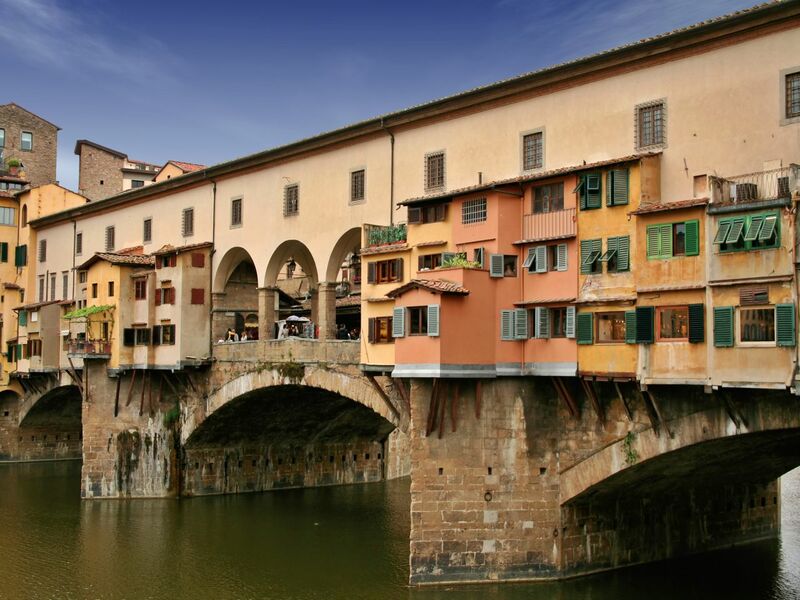 The bridge is composed of two different corridors, one for prisoners coming to the courthouse and the second for those returning to jail. 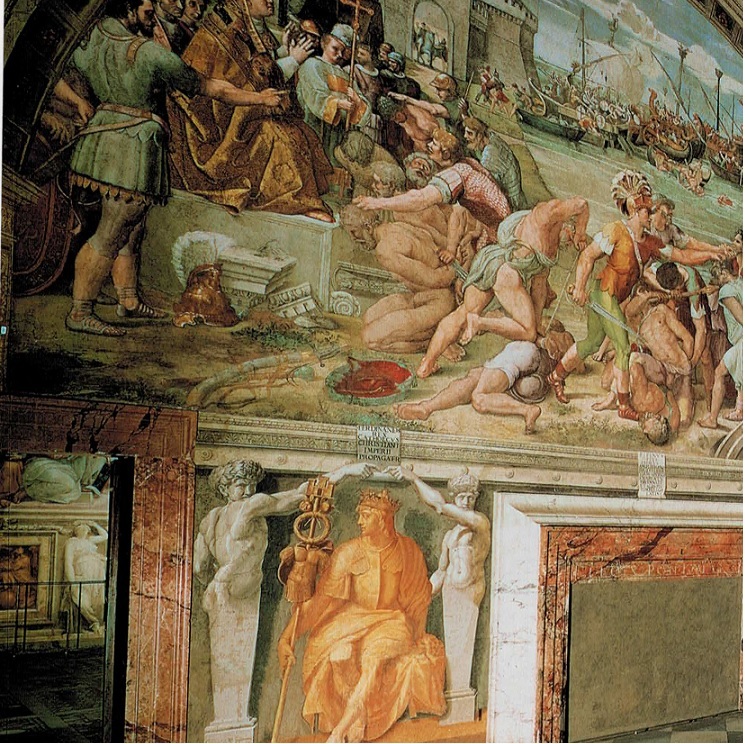 The corridors were convenient since they made it possible to move two different prisoners at the same time without allowing them to talk to each other. 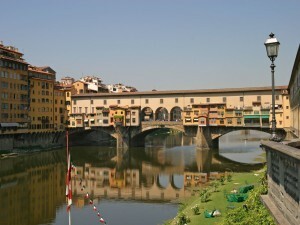 The bridge is completely closed so as to prevent the prisoners from jumping into the canal and escaping. 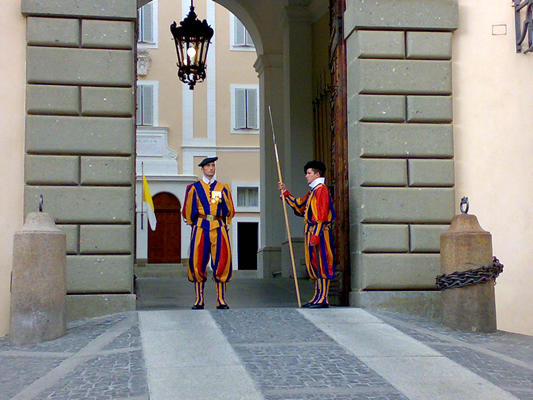 At the same time, it prevented people from seeing prisoners being brought into the courthouse. 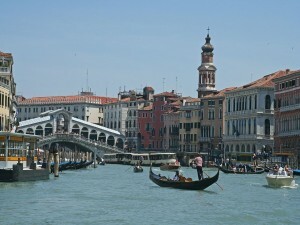 Categories: Places to Visit, Sightseeing Tours of Venice walking and boat, Sightseeing Tours of Walking in Venice. 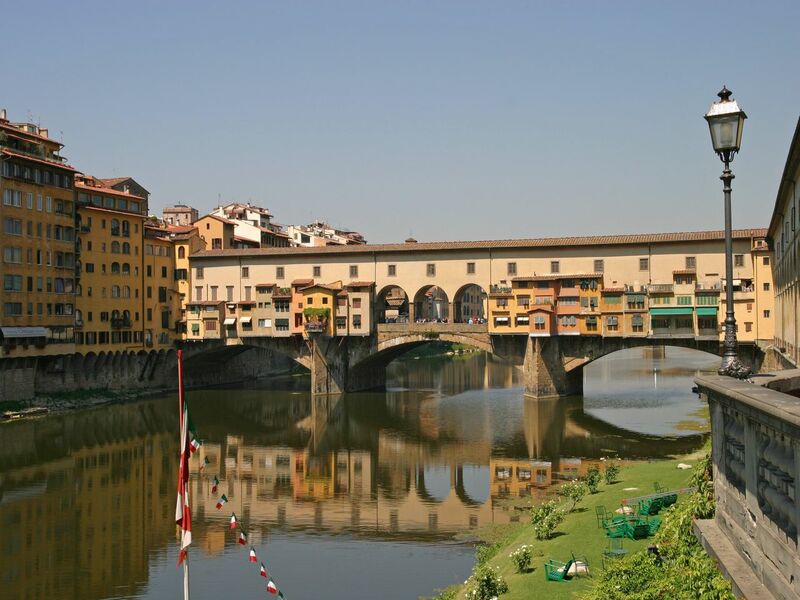 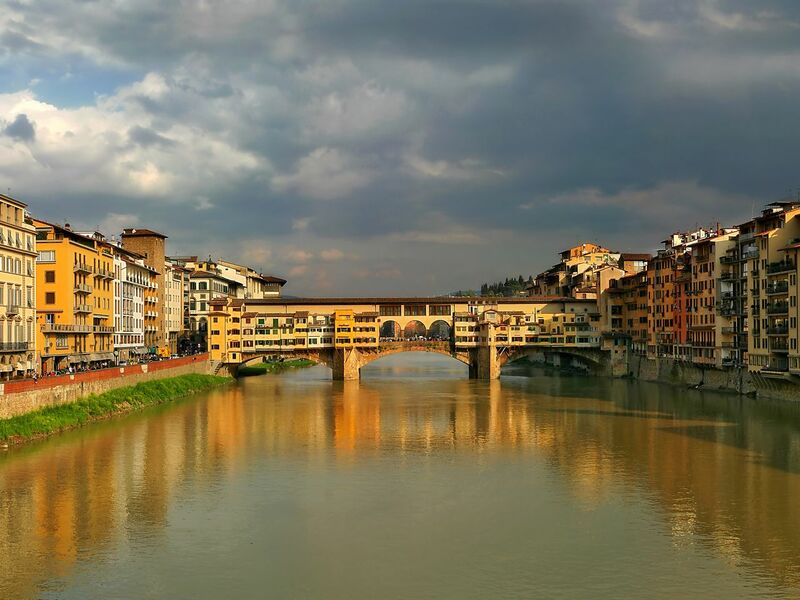 Tags: Bridge of Sighs, Day Trips From Venice, Doges Palace, Gondola, St. Mark. I saw from out the wave her structures rise”. 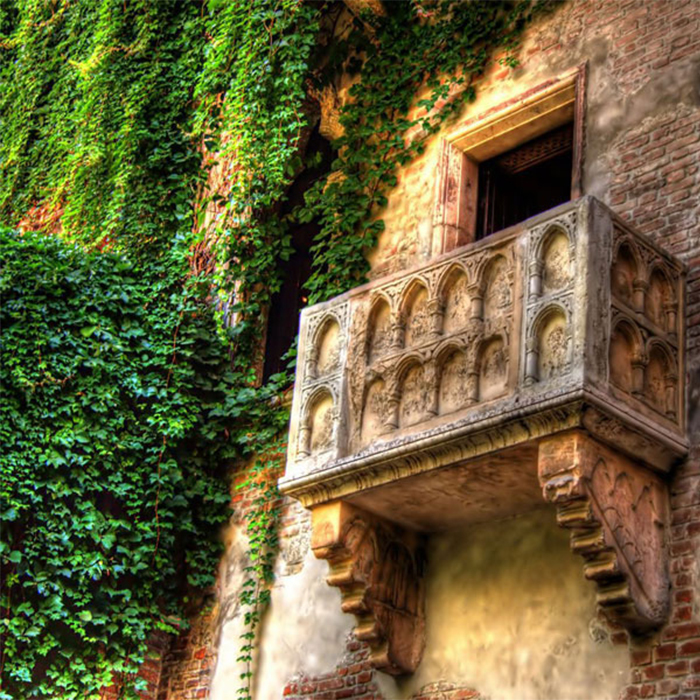 A long time ago, Venetians built a castle to house their government and all their leaders in a single place. 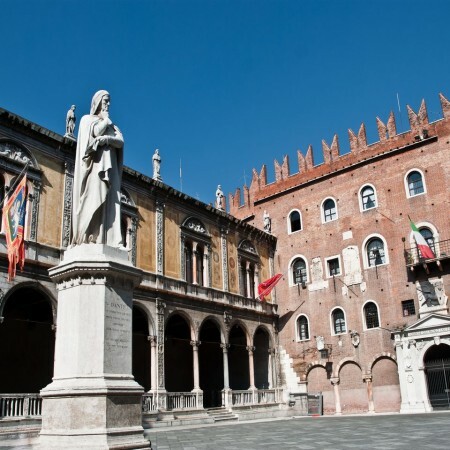 The first Doge’s Palace was a medieval castle composed of the Doge’s apartments, the government of the Republic of Venice, the courthouse and a jail. As time passed, the castle became too small for the government and finally it was destroyed by a fire. 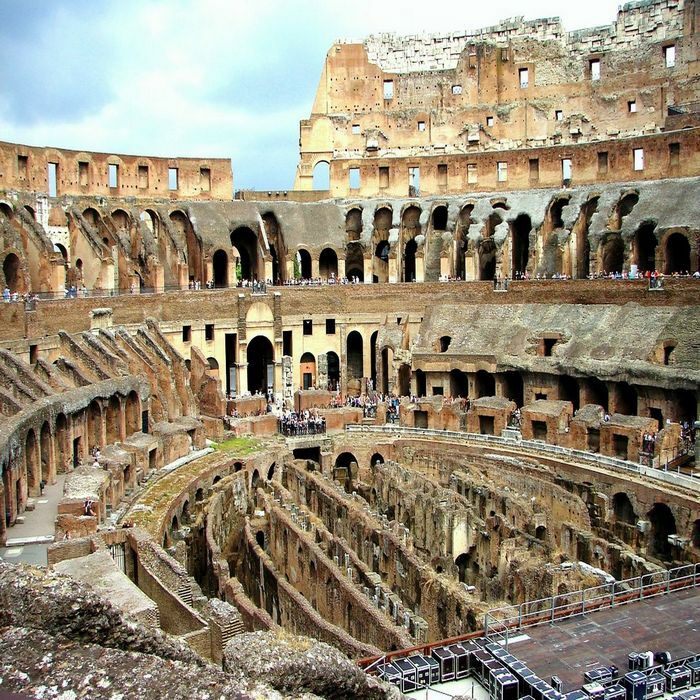 The Palace was rebuilt in pink marble between the 4th and 5th centuries, though it was made more spacious so as to contain a room for the Great Council. 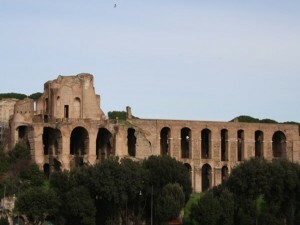 Over the years, several other fires partially destroyed the palace and many renovations and extensions were made, giving it the aspect it has today. 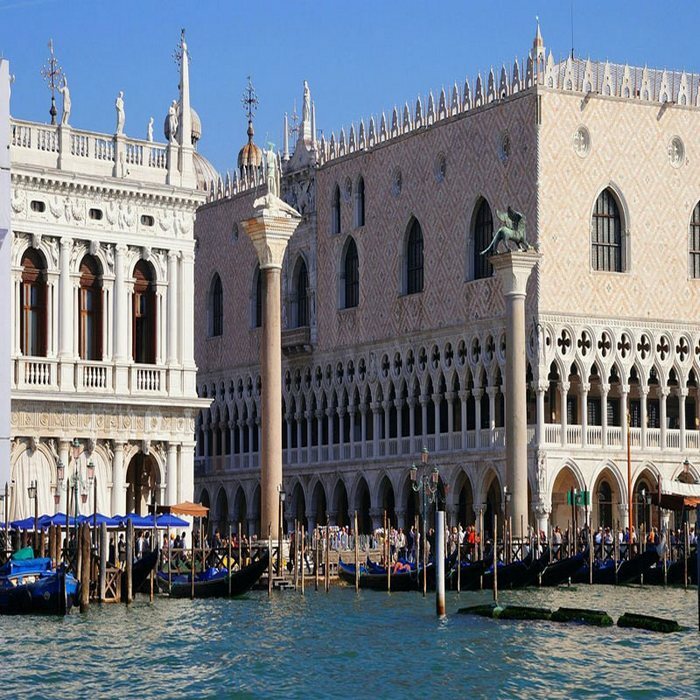 The Doge’s Palace has a very particular and fascinating structure, in that it was built differently from the other buildings in Venice: instead of having a strong base, its architects decided to put a first level made of galleries and thin arcades. 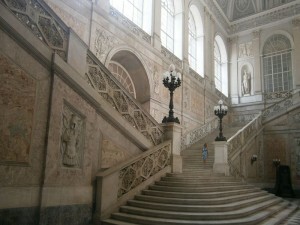 Shockingly, the whole building stands on this elegant first level. Categories: Places to Visit, Sightseeing Tours of Venice walking and boat, Sightseeing Tours of Walking in Venice. 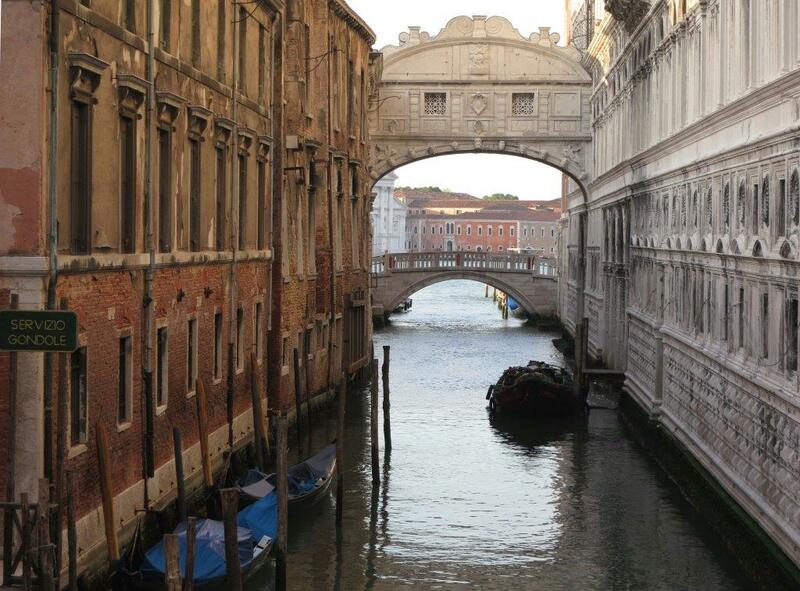 Tags: Bridge of Sighs, Day Trips From Venice, Doges Palace, prisons, St. Mark. 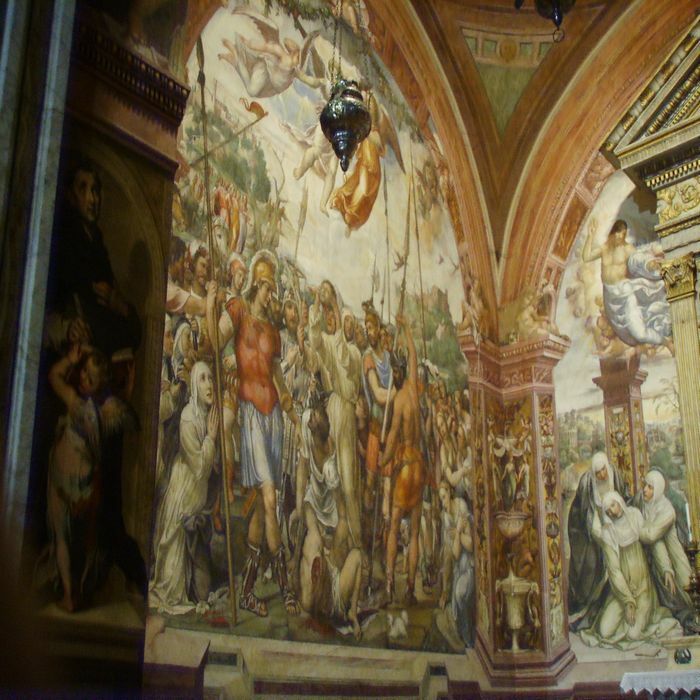 The interiors of the Doge’s Palace were decorated by several famous Renaissance artists such as Veronese, Tintoretto and Titian. 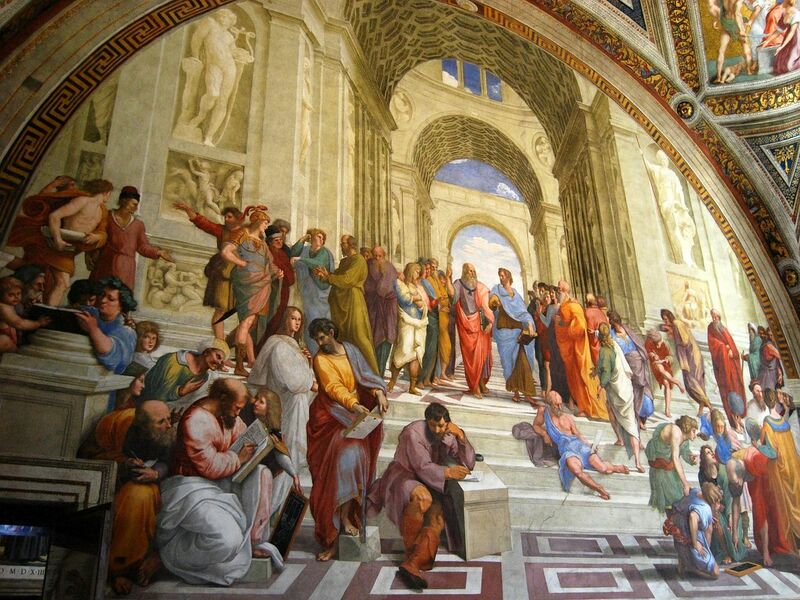 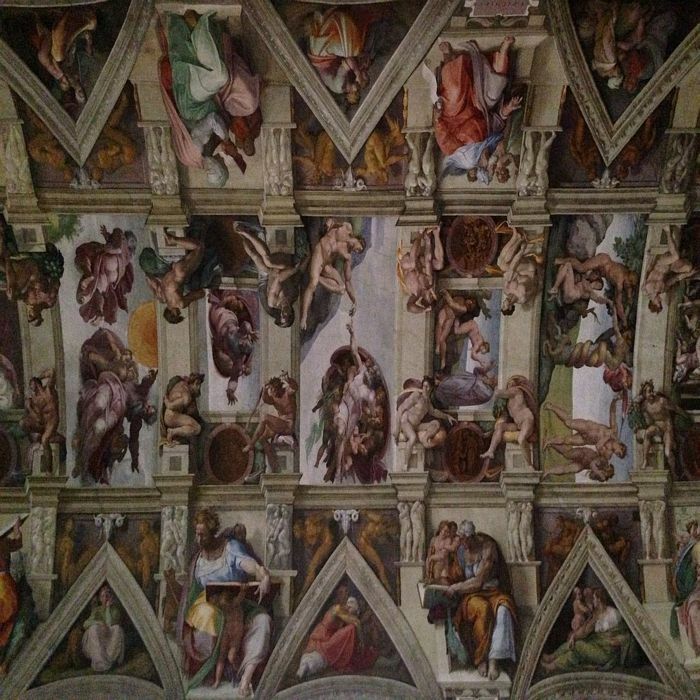 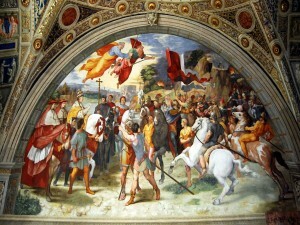 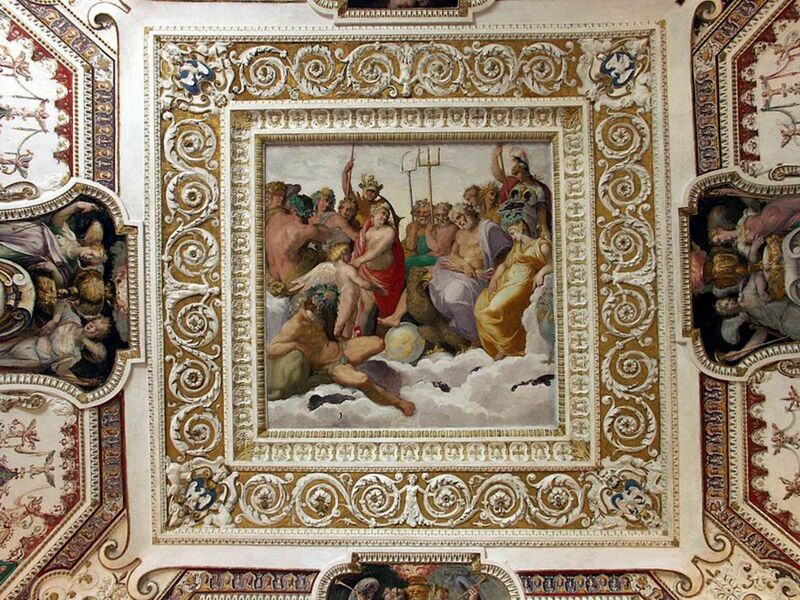 Tintoretto is the creator of “The Paradise” in the Great Council room. 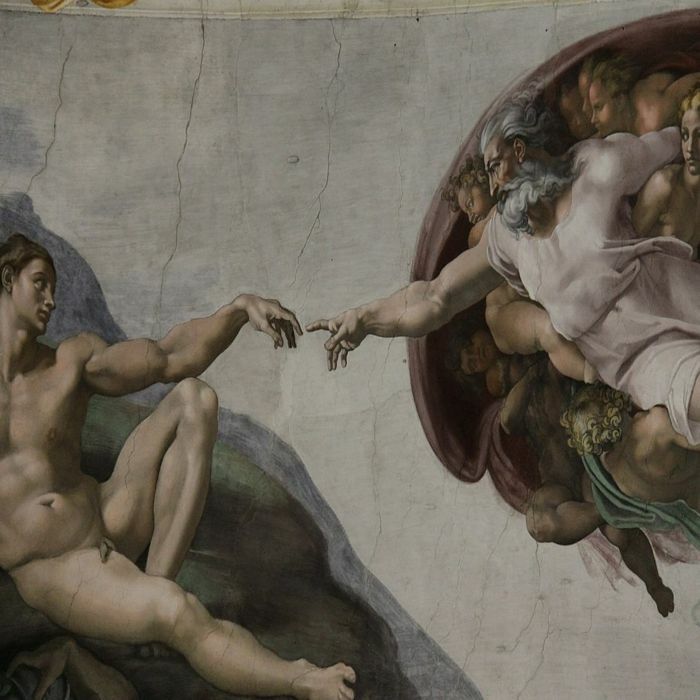 This giant canvas is considered one of the biggest masterpieces in the world, reaching nearly 25 meters in length. 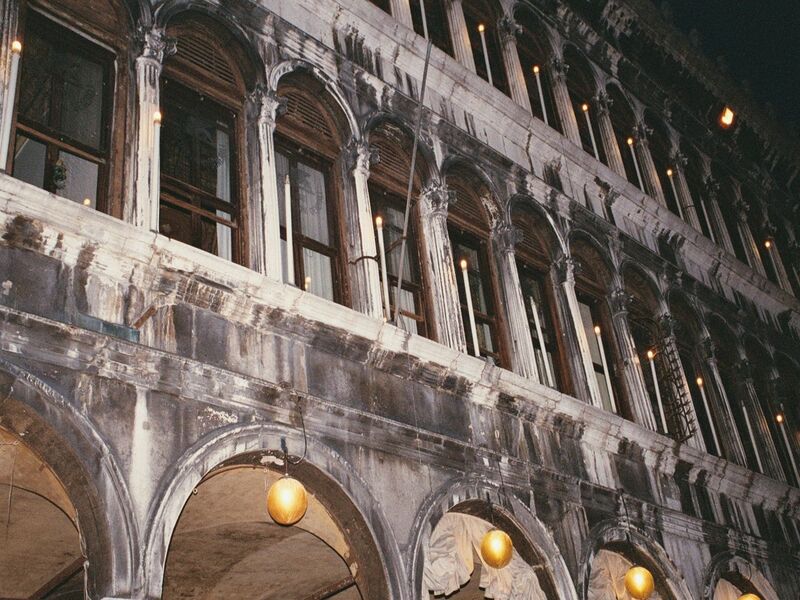 Due to its location, each of the four sides of the Palace faces an interesting part of Venice. 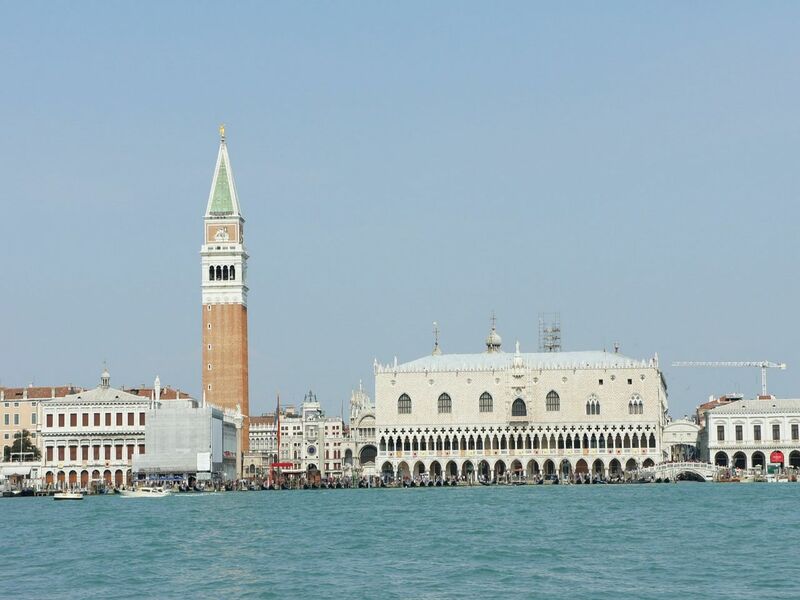 One side faces Saint Mark’s Square and where the courthouse once stood while another faces the lagoon and the Grand Canal. 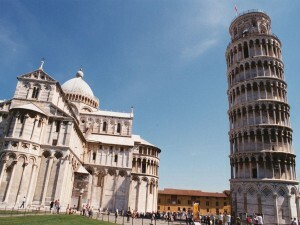 The view that the latter side offers was reserved for the government. 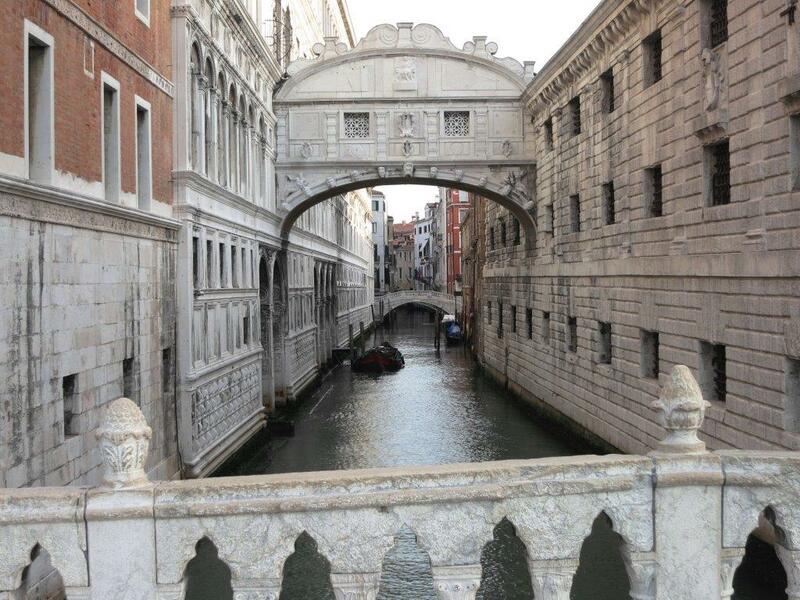 The third side faces the canal called Rio de la Canonica, where the Bridge of Sighs can be admired. 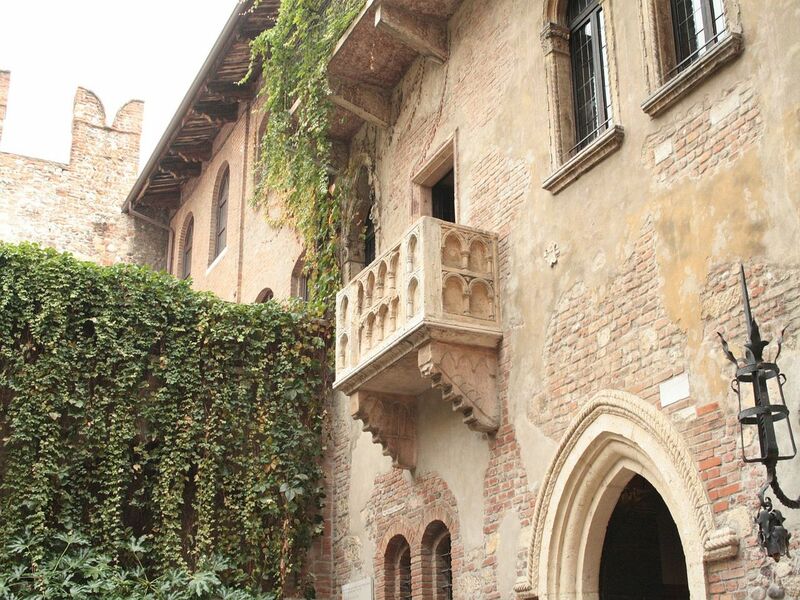 This side is where the Doge had his apartments. 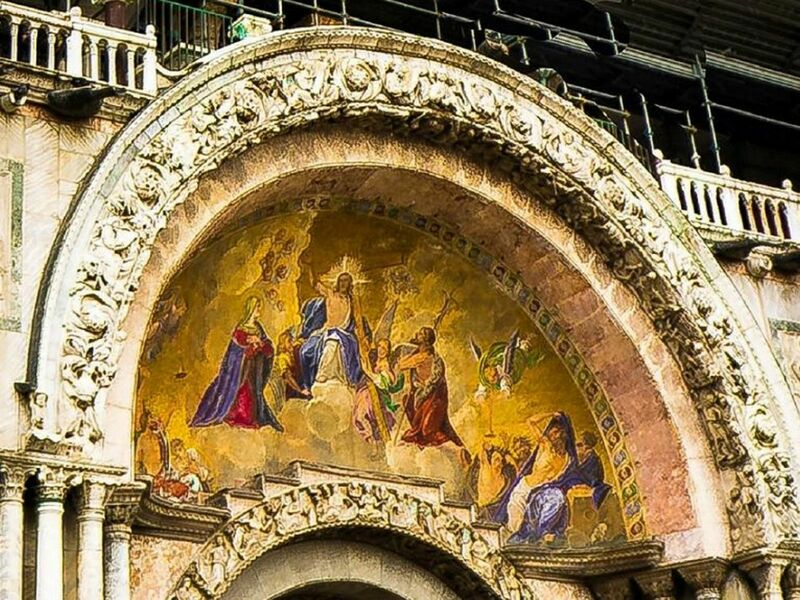 The last side shares a wall in common with Saint Mark’s Basilica. 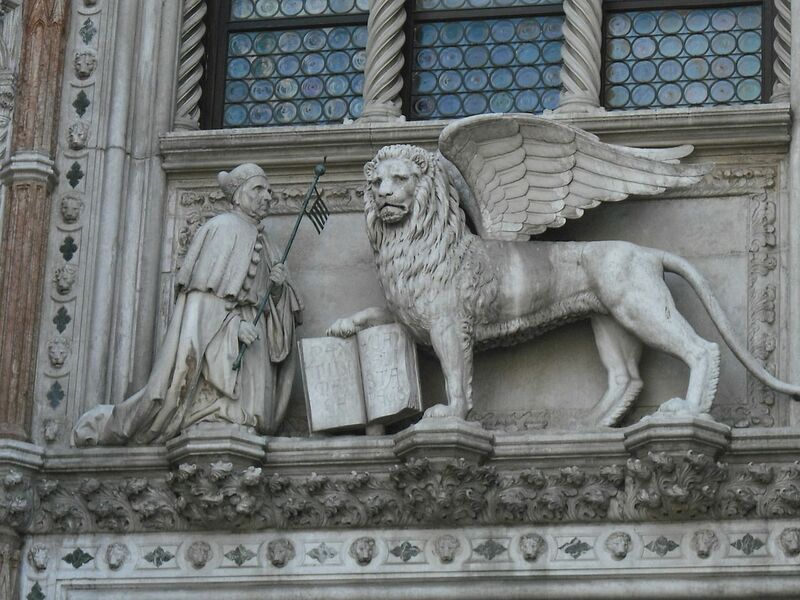 For several centuries, the Doge’s Palace was the only building in Venice allowed to be called “Palace”. 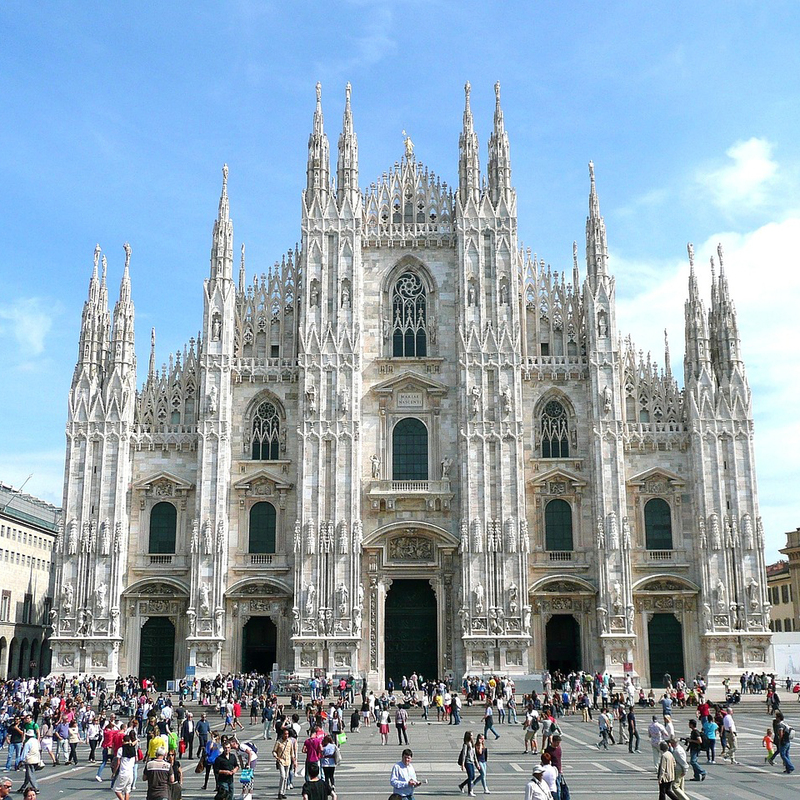 The others palaces had to name themselves Ca’ which was the short form for “casa”, meaning “house” in Italian. 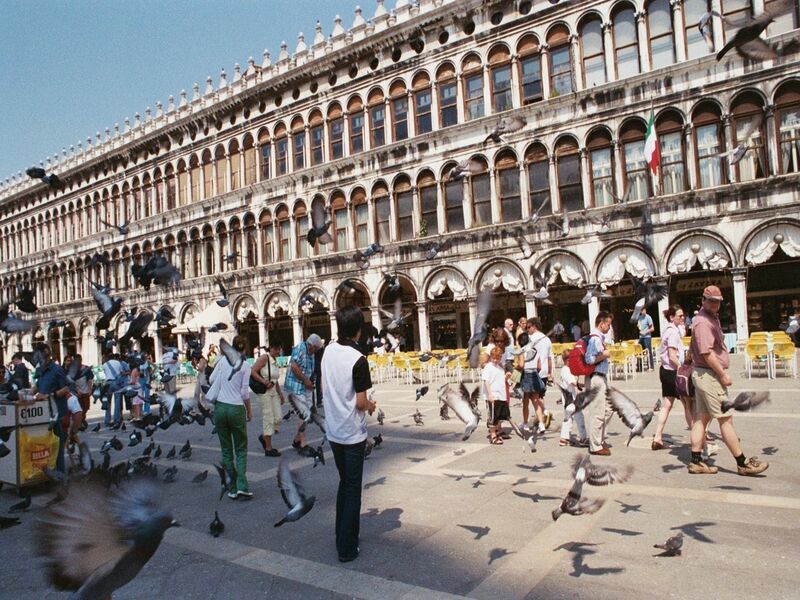 The Piazza San Marco is one of the most famous squares in the world. 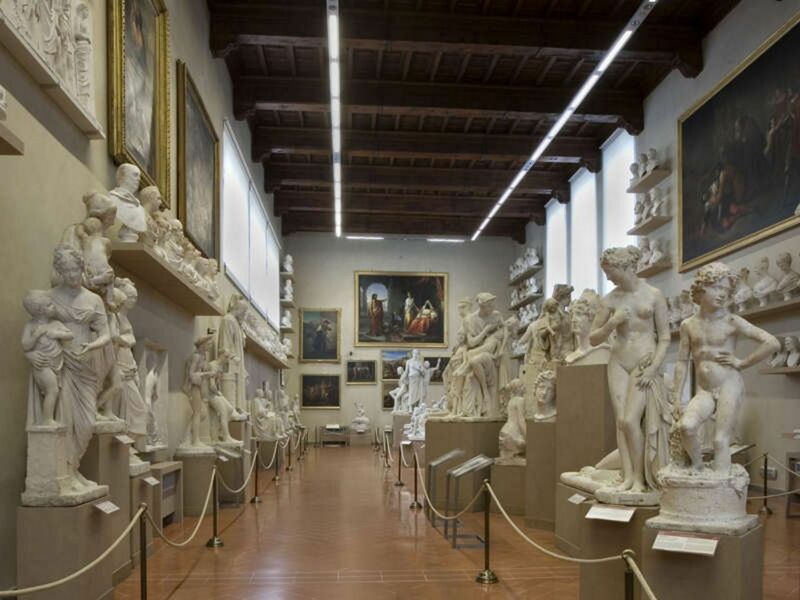 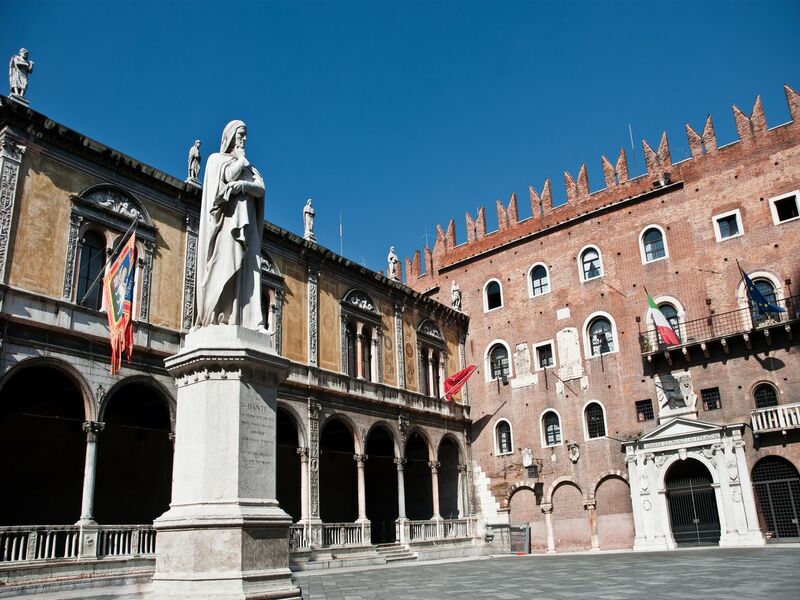 The elegant space has been used for the political, religious and commercial life of Venice for hundreds of years. 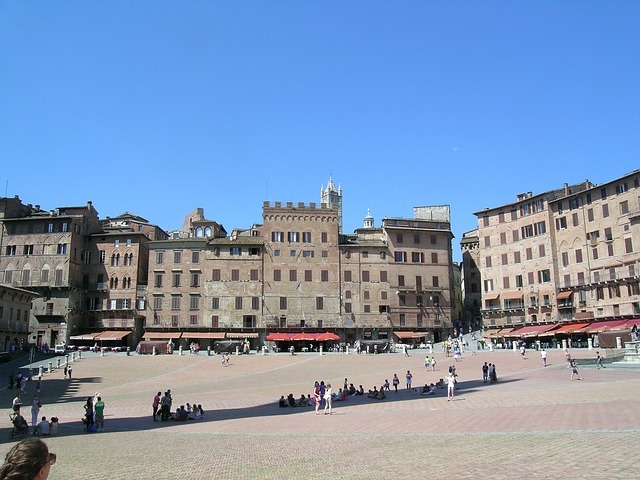 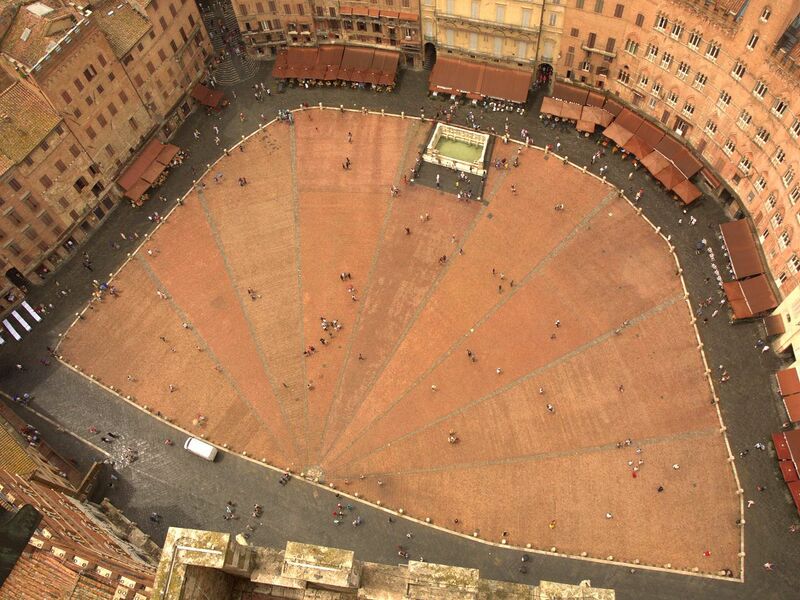 The square is composed of several buildings with different types of architecture, all of them boasting a rich past. 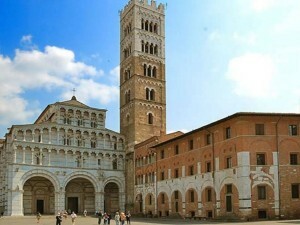 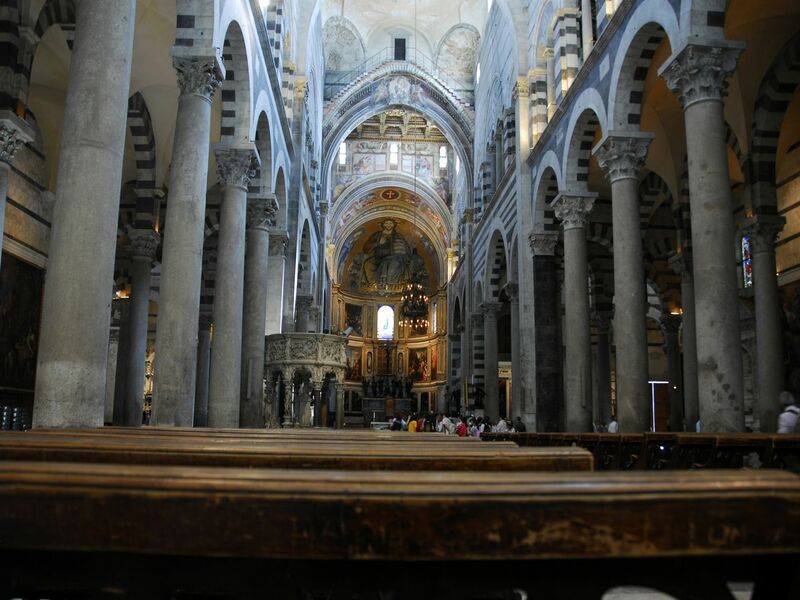 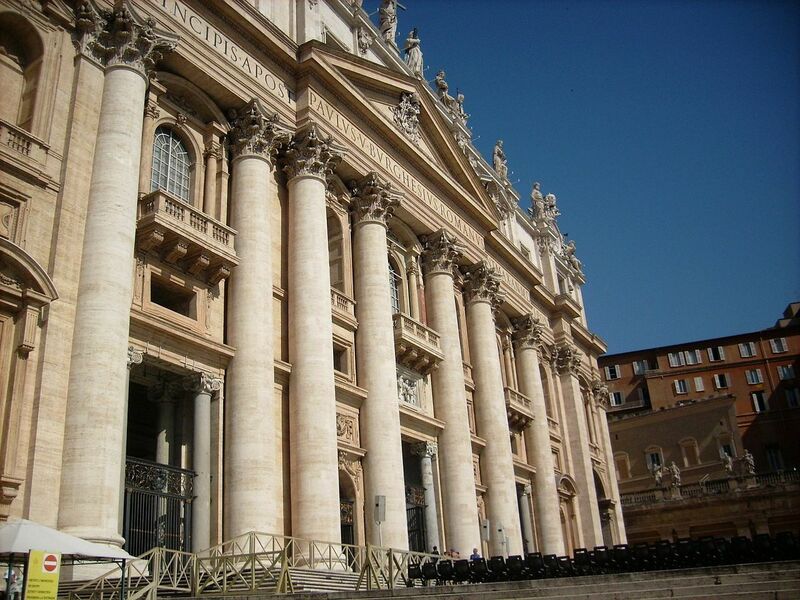 First is the Basilica of Saint Mark, built in the Byzantine style in 828 to contain the mummy of Saint Mark. 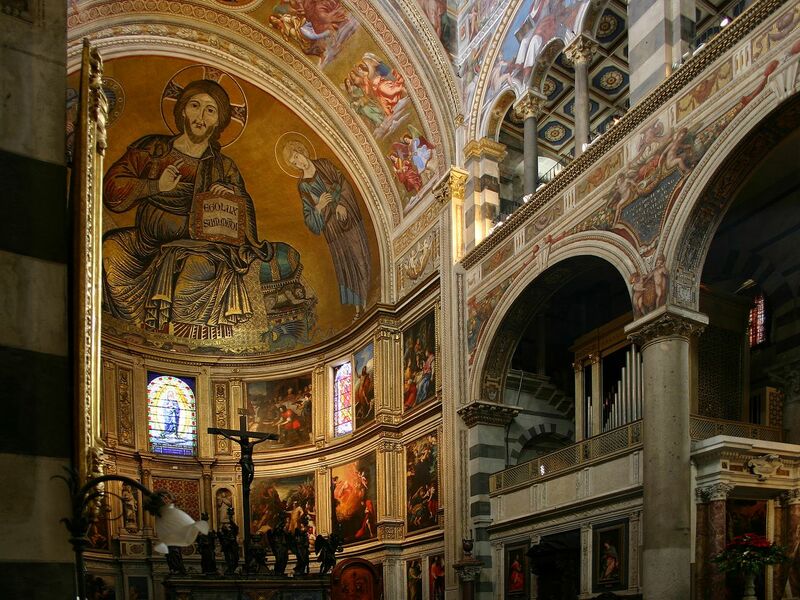 This basilica is a good example of the connections that existed between Venice and Constantinople. 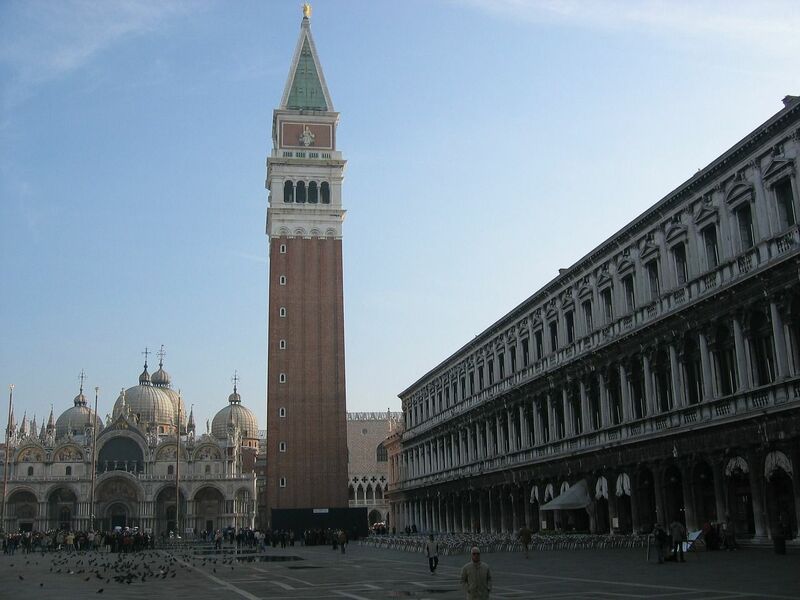 Next to the basilica is Saint Mark’s Campanile, one of the most symbolic monuments of Venice, its recognizable shape visible from quite a distance away. 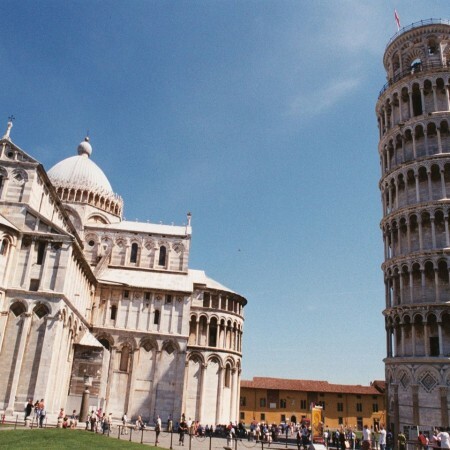 This huge tower of 96 meters collapsed in 1902 but was rebuilt exactly as it was. 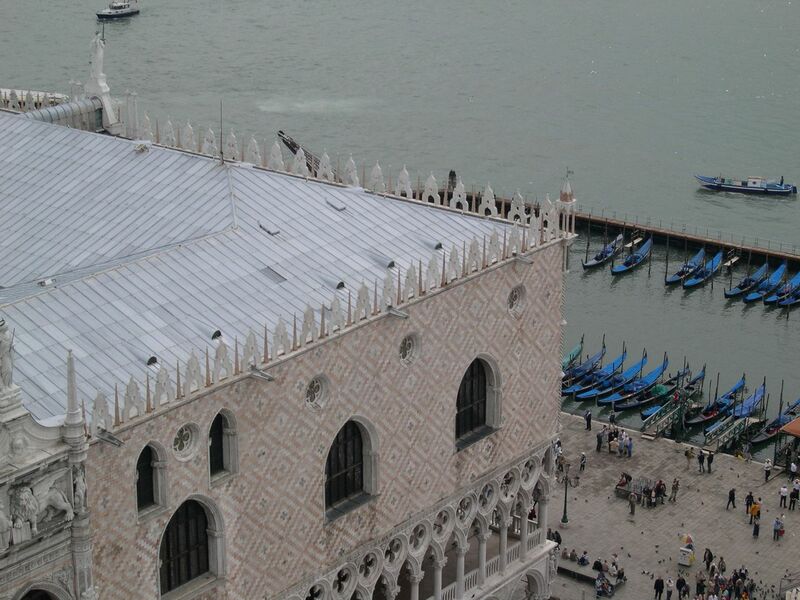 It is possible to reach its summit and enjoy a breathtaking view over the Piazza San Marco and the rest of Venice. 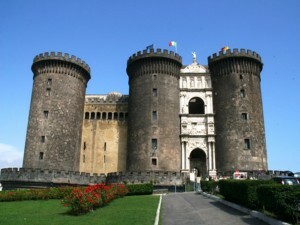 Near the entrance of the campanile is the Logetta, made by Sansovini in 1540. 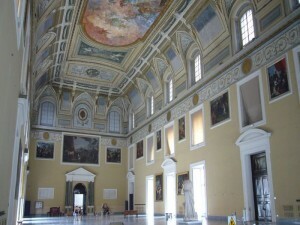 It was first a meeting room for the Venetian aristocracy then later became a room for the guards of the Doges’ Palace. 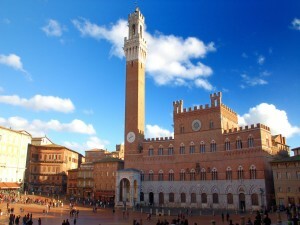 The clock tower is an interesting early Renaissance building worth admiring while exploring the square. 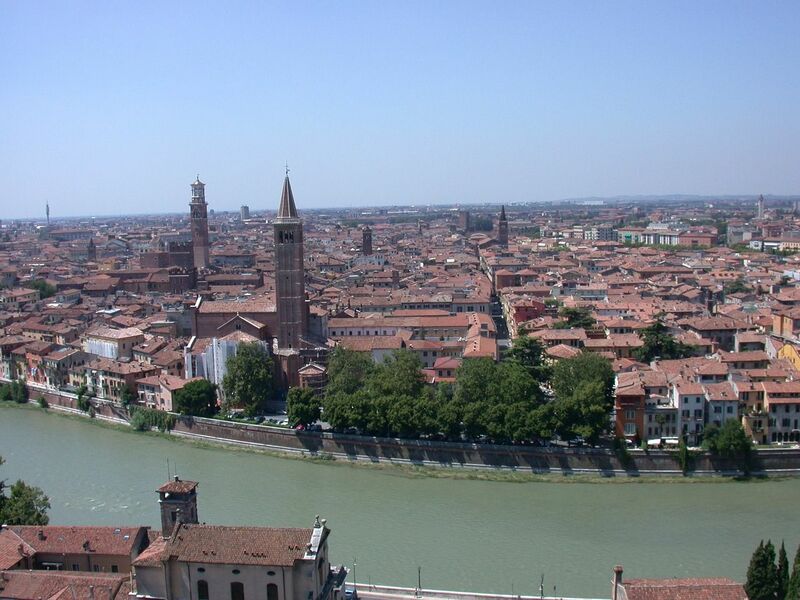 Categories: Places to Visit, Sightseeing Tours of Venice walking and boat, Sightseeing Tours of Walking in Venice. 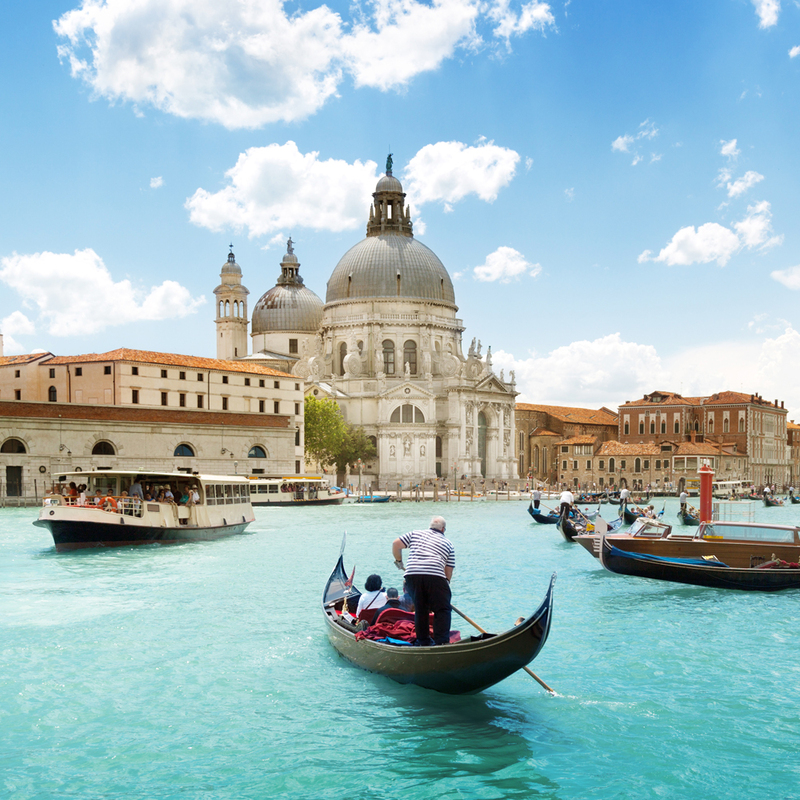 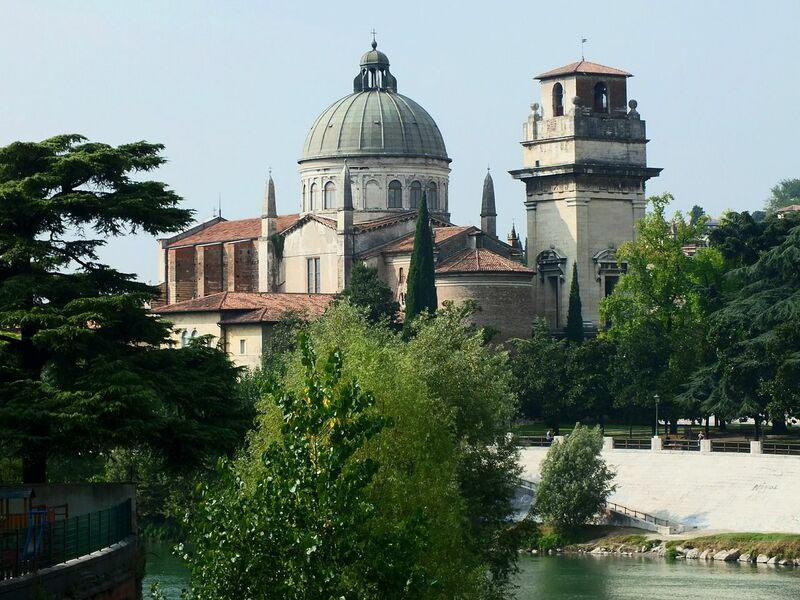 Tags: Basilica San Marco, Canal Grande, Day Trips From Venice, Doges Palace, Gondola, St. Mark. 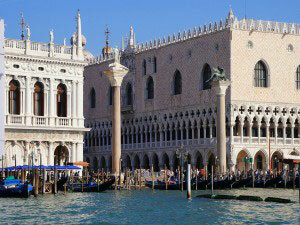 The Palazzo Ducale, facing both the piazzetta and the water, is a symbol of the power the Republic of Venice once held. 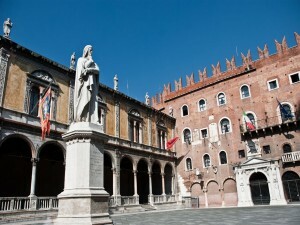 It was the political center of the Doge as well as his living quarters. 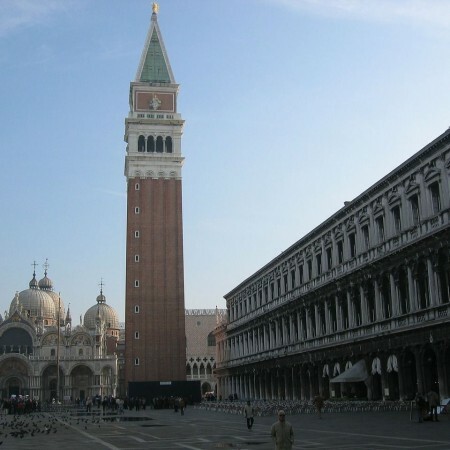 Interestingly, the Doge’s Palace is full of secret passages which allowed people to go between several bedrooms and offices. 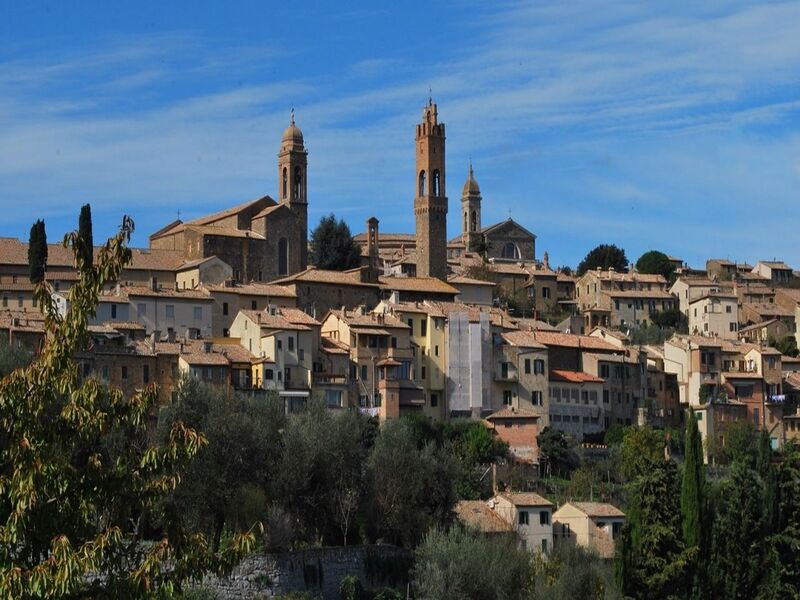 Not far from Siena is another, smaller medieval hilltop town by the name of Montalcino, famous above all for its production of Brunello wine. Like most of the towns in the area, Montalcino was originally an Etruscan settlement that remained relatively small until a sudden population growth in the 10th century. 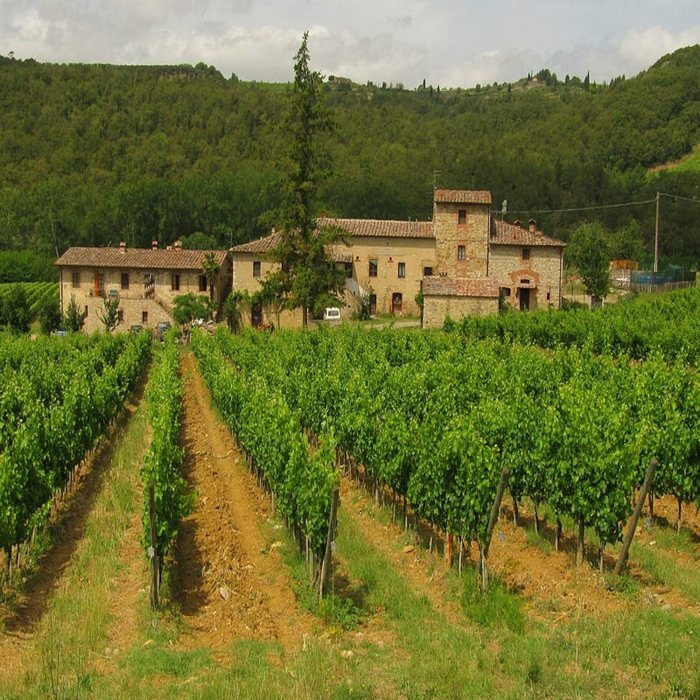 In the middle ages, Montalcino gained some importance due to its location on Via Frencigena, an ancient and important Roman road, as well as its production of quality leather goods. 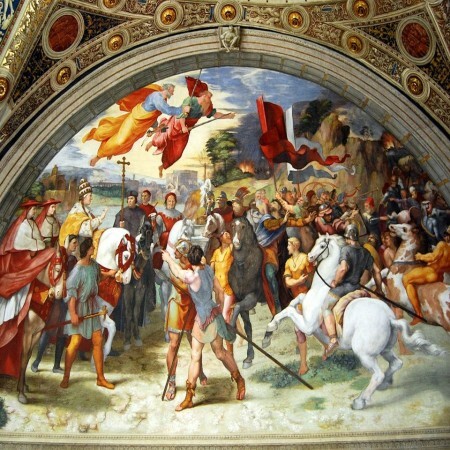 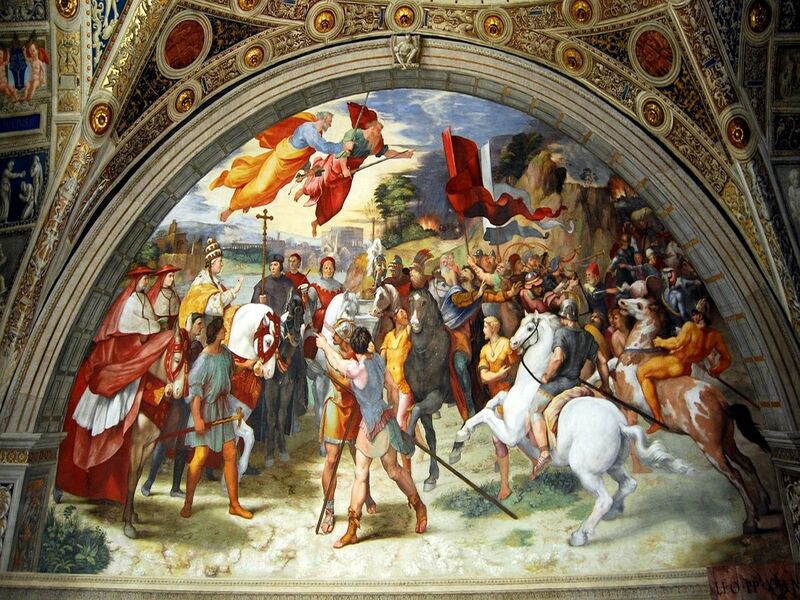 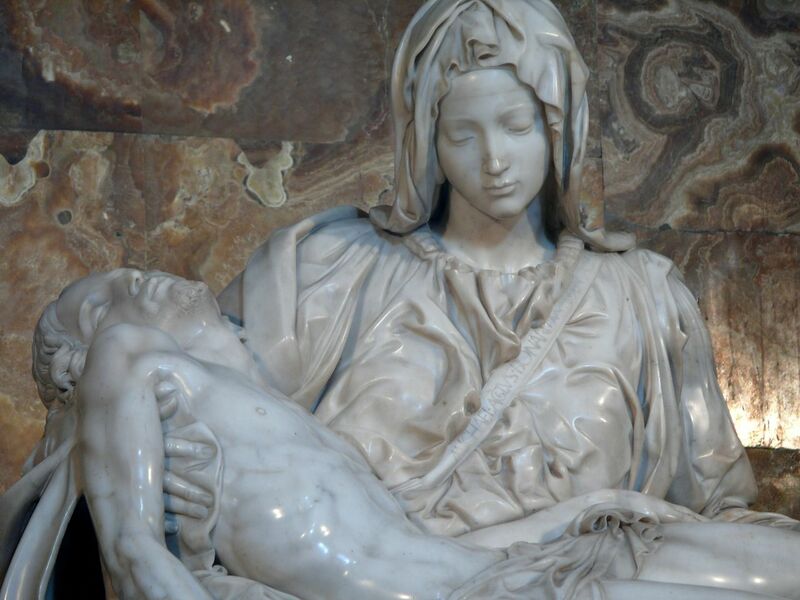 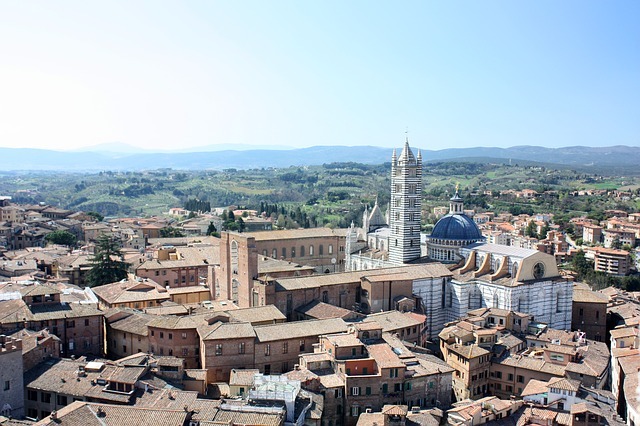 The 14th to 16th centuries were tumultuous, with the town getting caught between the warring Florence and Siena, as well as the various battles between the local noble families. 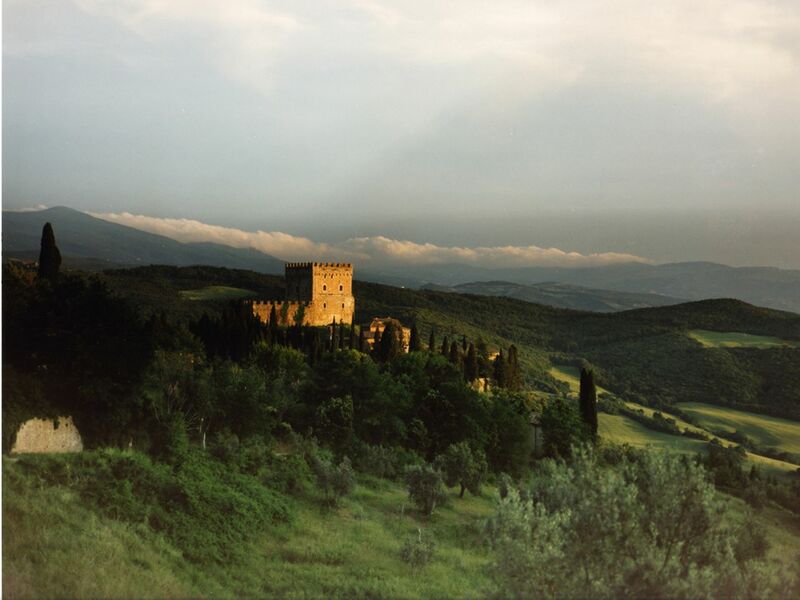 Montalcino was eventually conquered by the Florentine Republic in the mid 16th century and remained under their control until the unification of Italy. 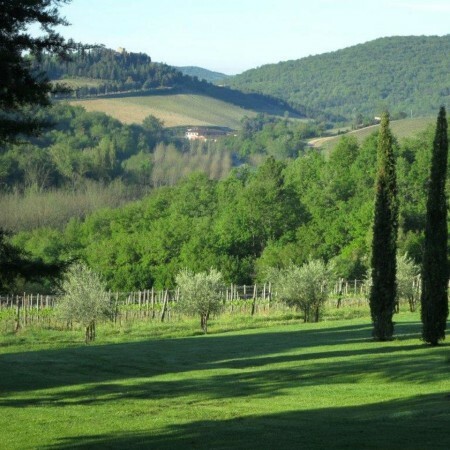 Today, Montalcino is very well known for its production of Brunello wine, made from the Sangiovese Grosso grapes that are cultivated in the area surrounding the town. 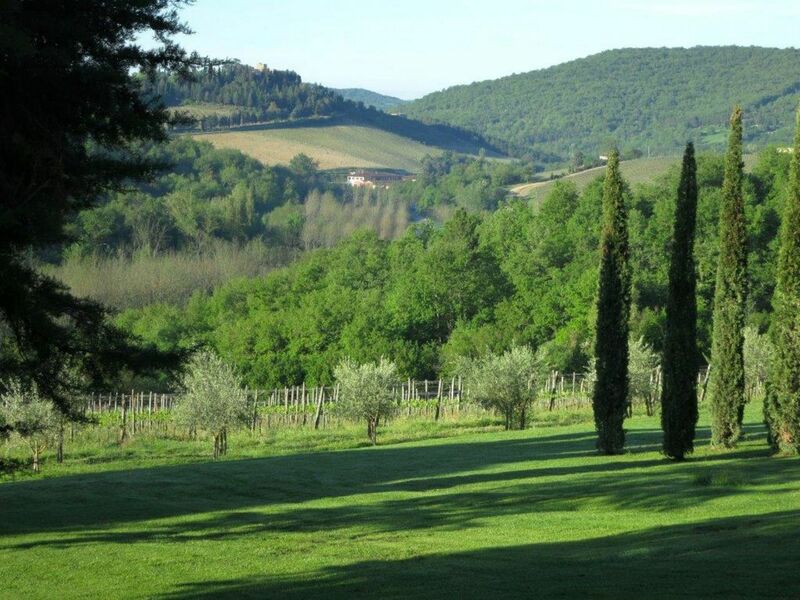 Categories: Places to Visit, Sightseeing Tours of Montalcino & Brunello Wine. 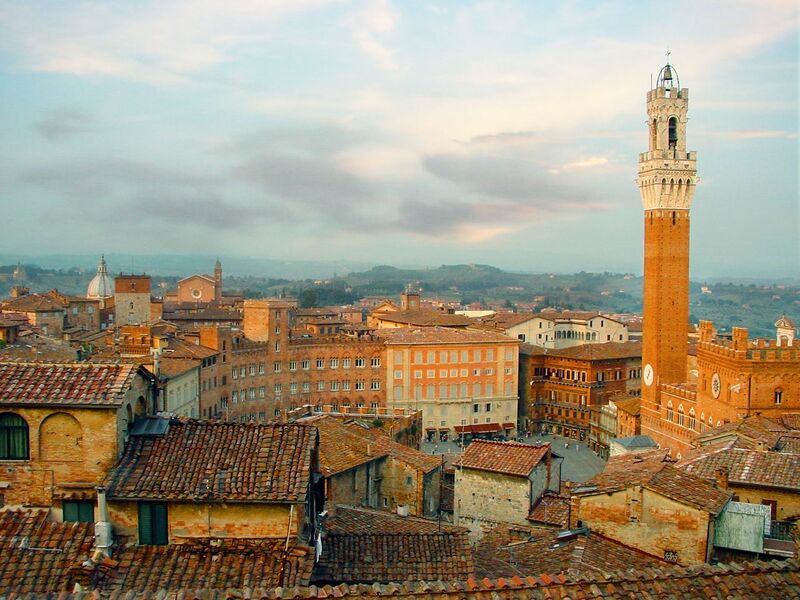 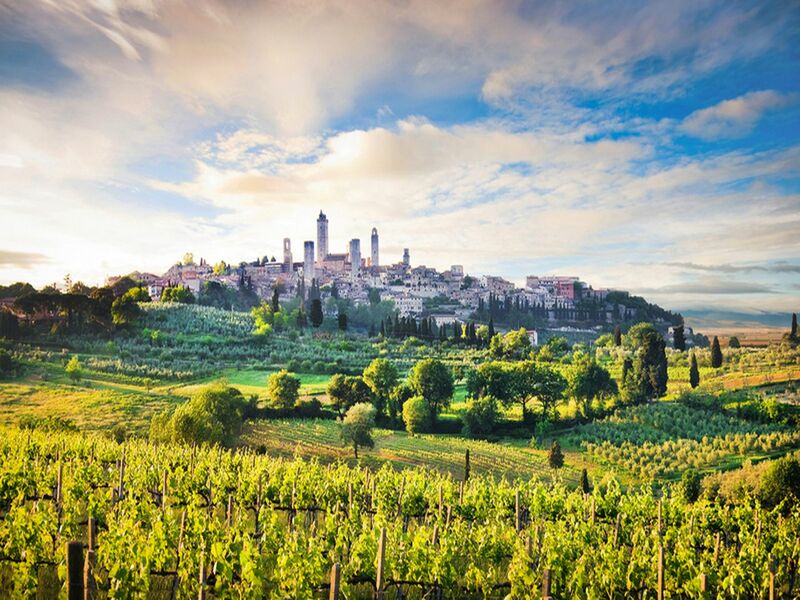 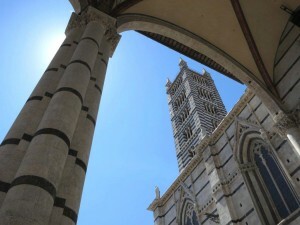 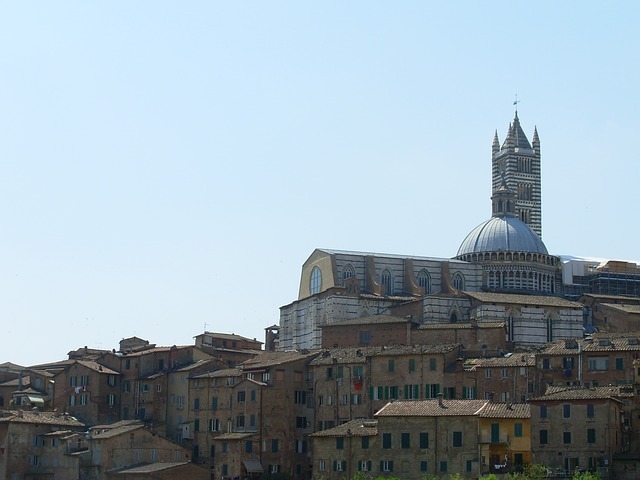 Tags: Brunello, Day Trips From Siena, Montalcino, Tuscany, Wine Tasting. 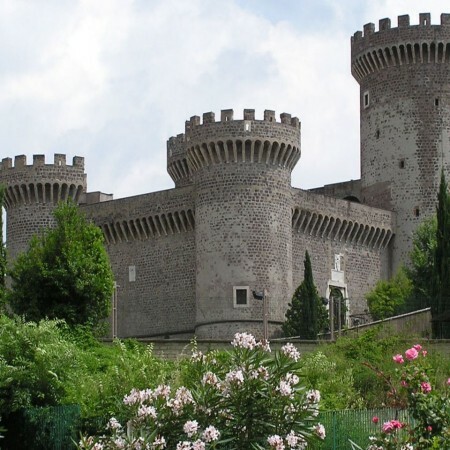 Aside from its delicious wine, Montalcino also offers some fascinating sights such as the medieval Fortress that dominates the highest point in town and offers a stunning panorama from its towers. 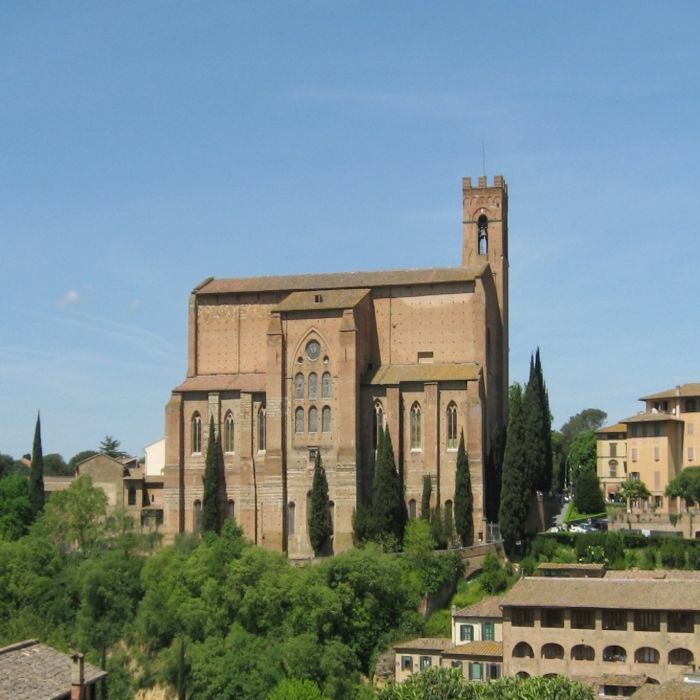 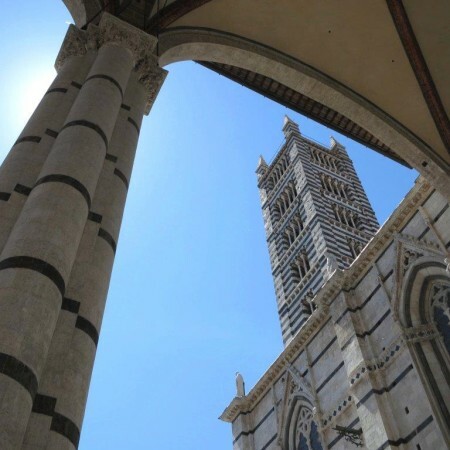 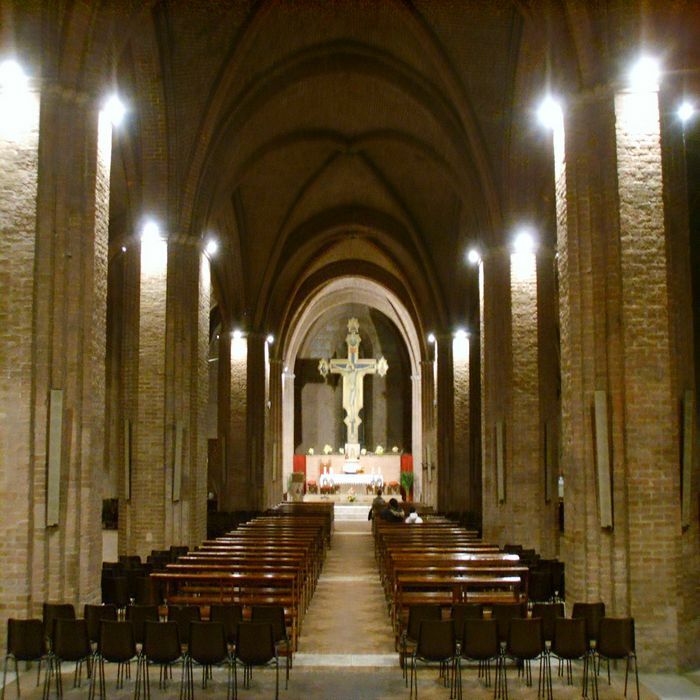 There is also the Church of Sant’Agostino, an imposing Gothic style religious structure from the 13th century, and whose beautiful cloisters were later added in the 15th century. 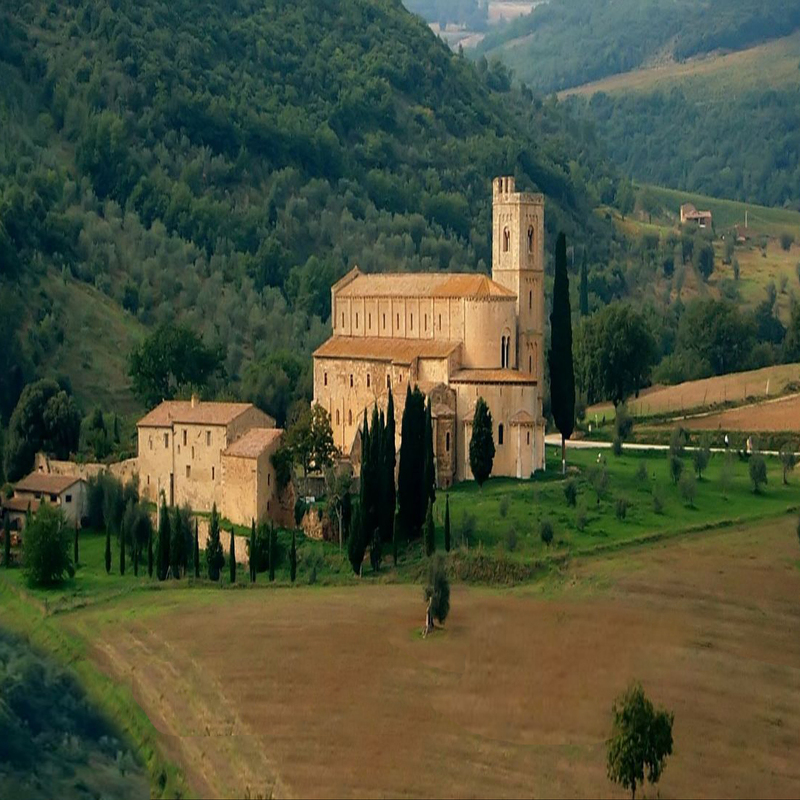 Finally, a little outside of the town is large and mysterious Abbey of Sant’Antimo, whose true origins are still obscure today. 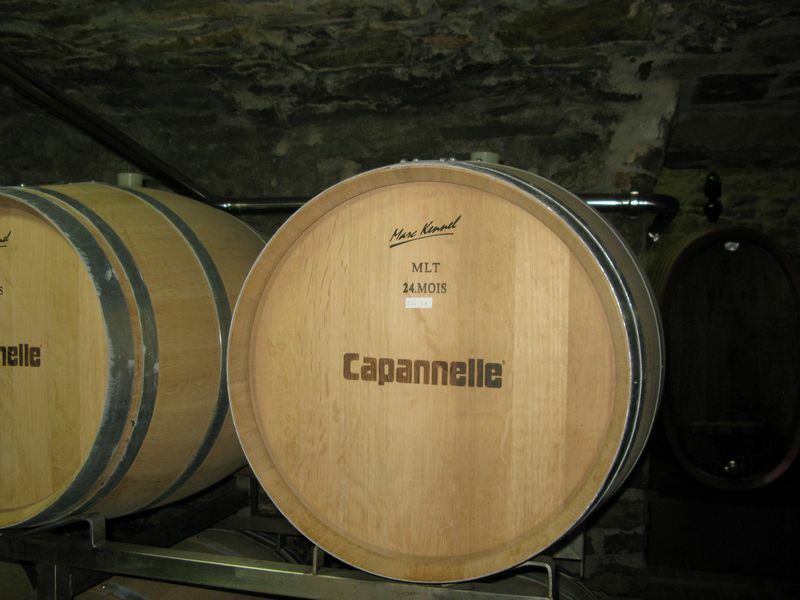 Made from the Brunello clone of the Sangiovese grape, these red wines are among the most complex and rich expressions of Sangiovese. 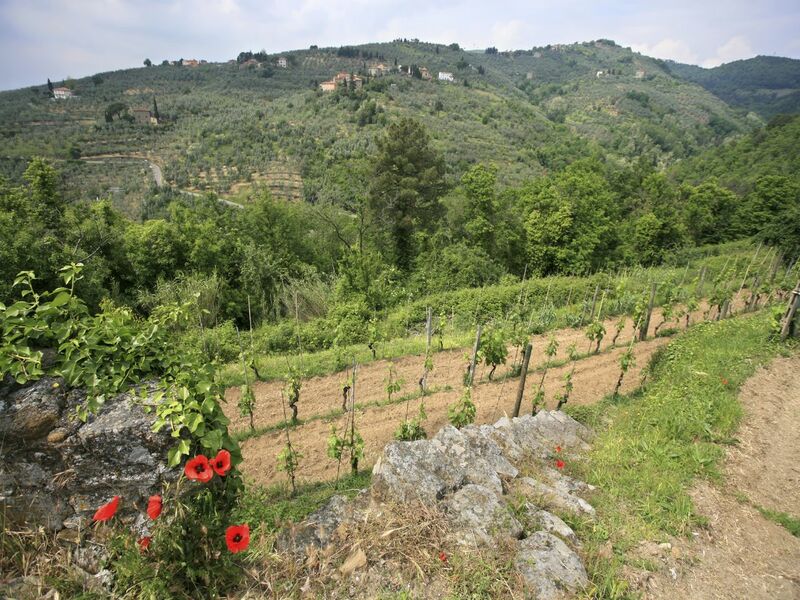 The soils in these hillside vineyards yield robust, voluptuous wines with great depth and aging potential. 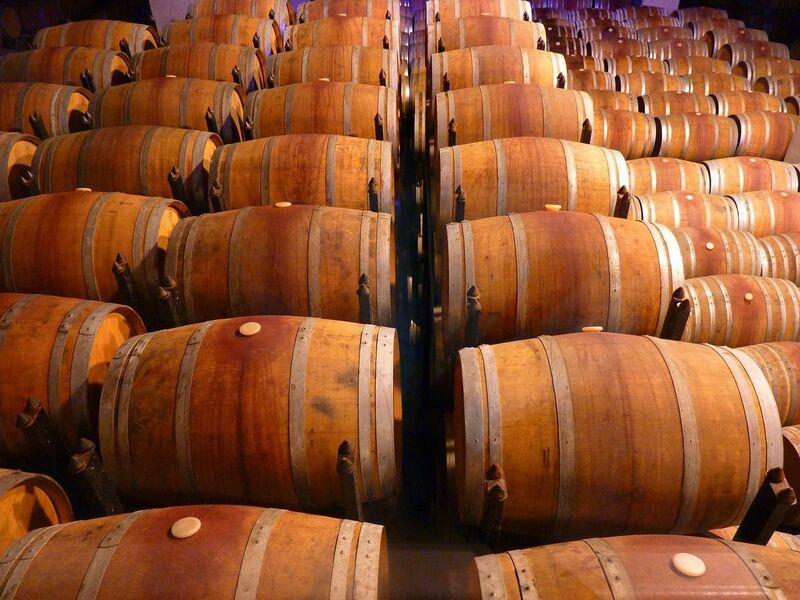 Notes of leather, earth, plums, and spices are typical. 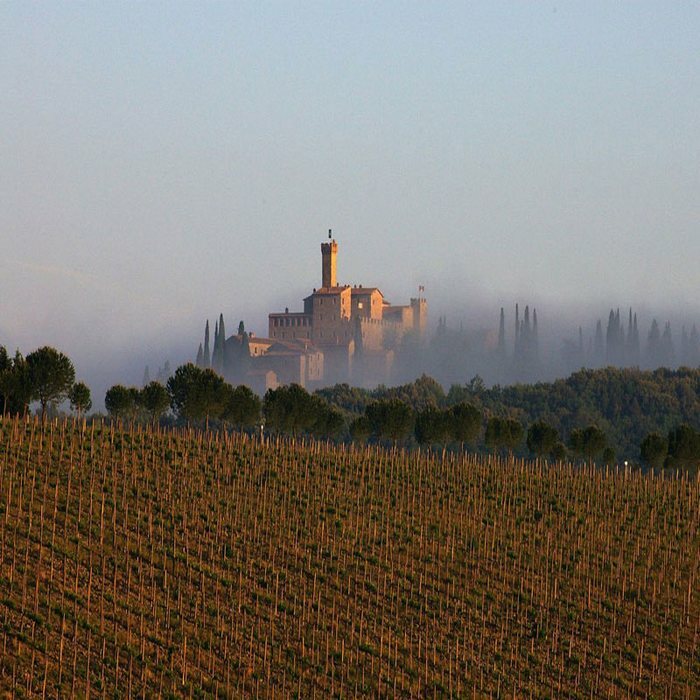 Brunello is the most tannic and the most potentially age-worthy expression of Sangiovese. 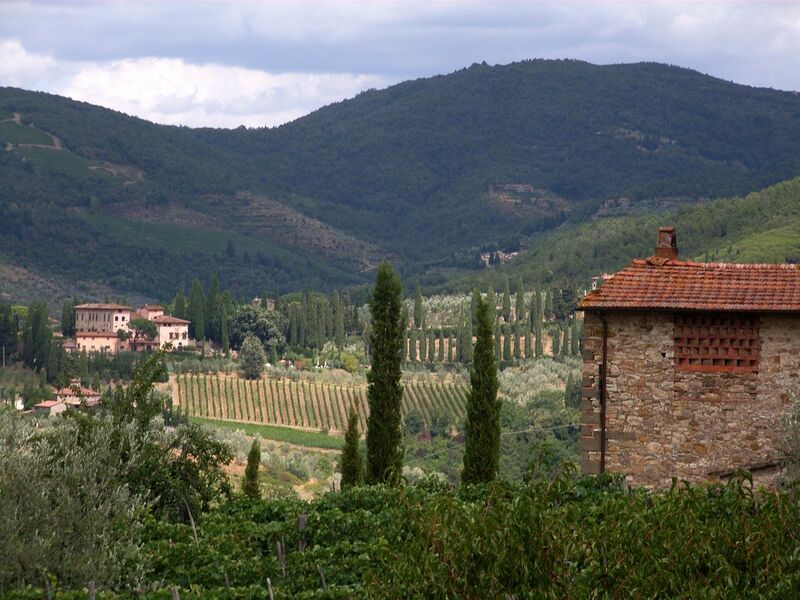 Rosso di Montalcino, however, is a much more approachable red. 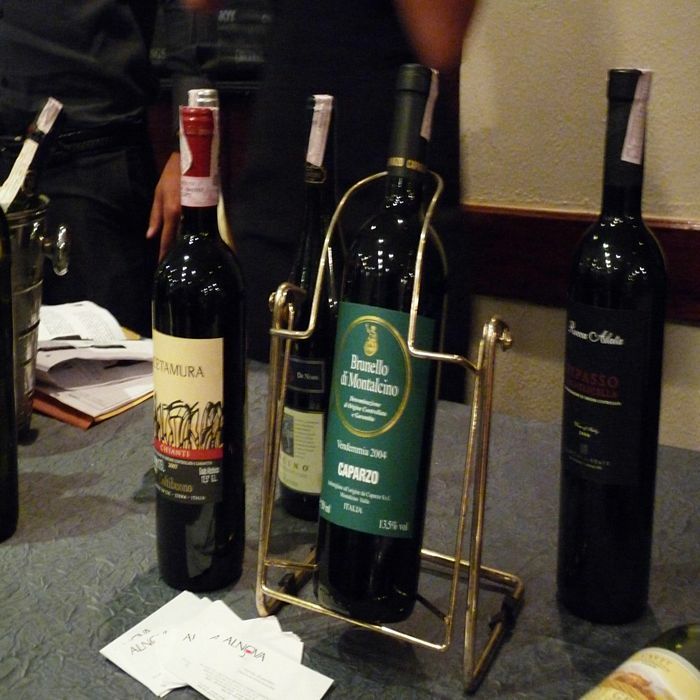 Rosso is what Italians drink while they wait for their Brunello to mature. 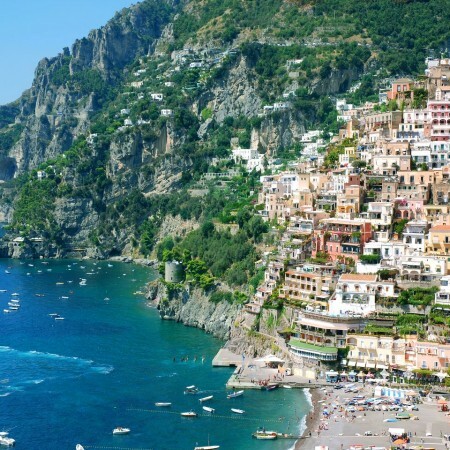 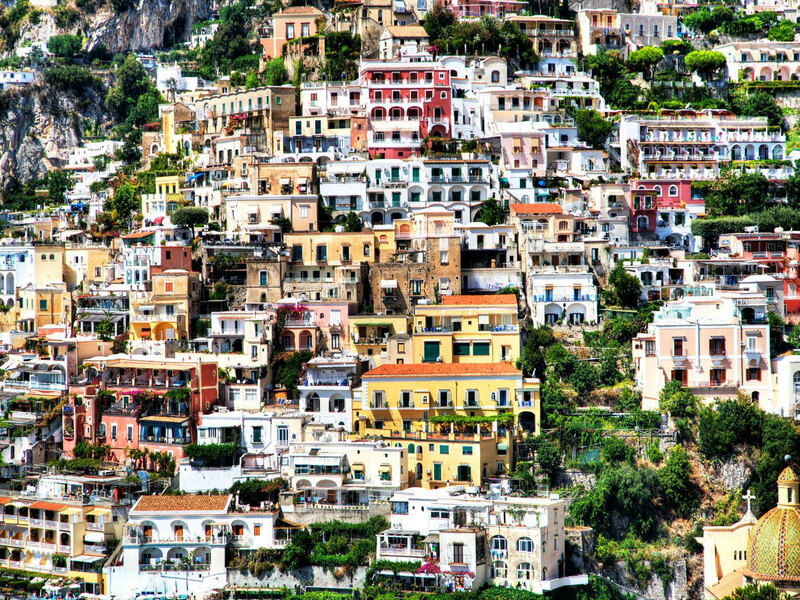 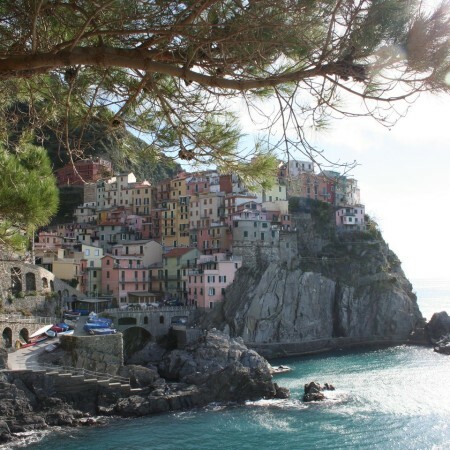 A large area located on the Italian Riviera in Liguria, the Cinque Terre spreads over lush hills and the turquoise coast, and encompasses the villages of Monterosso al Mare, Vernazza, Corniglia, Manarola and Riomaggiore. 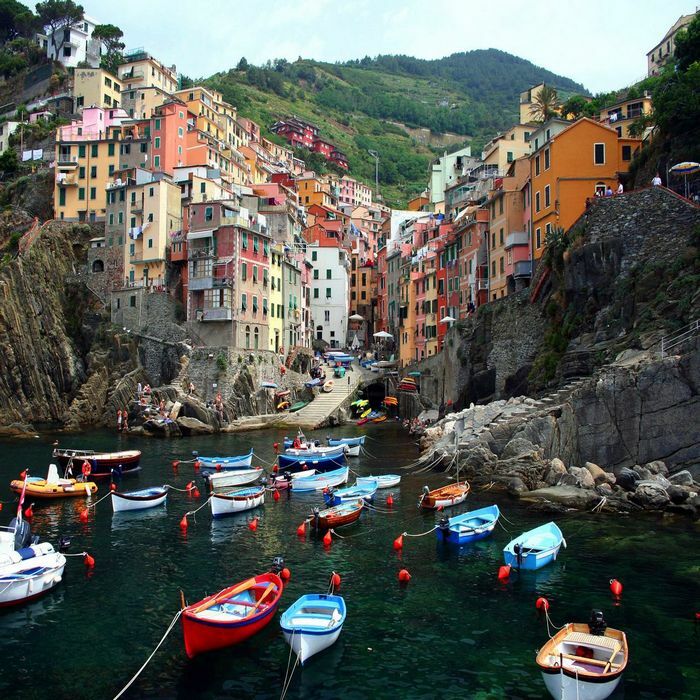 The land, coast and villages are all part of the Cinque Terre National Park, which was declared a UNESCO World Heritage Site in 1997. 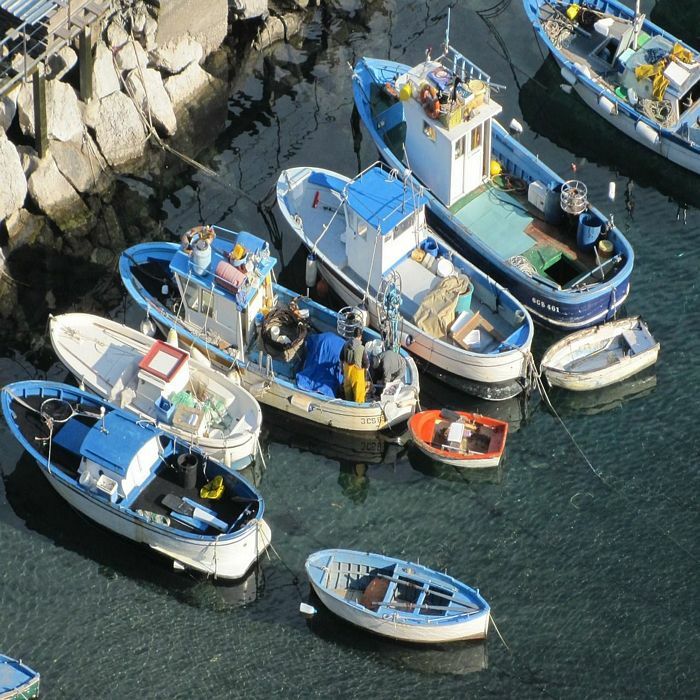 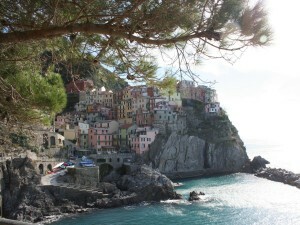 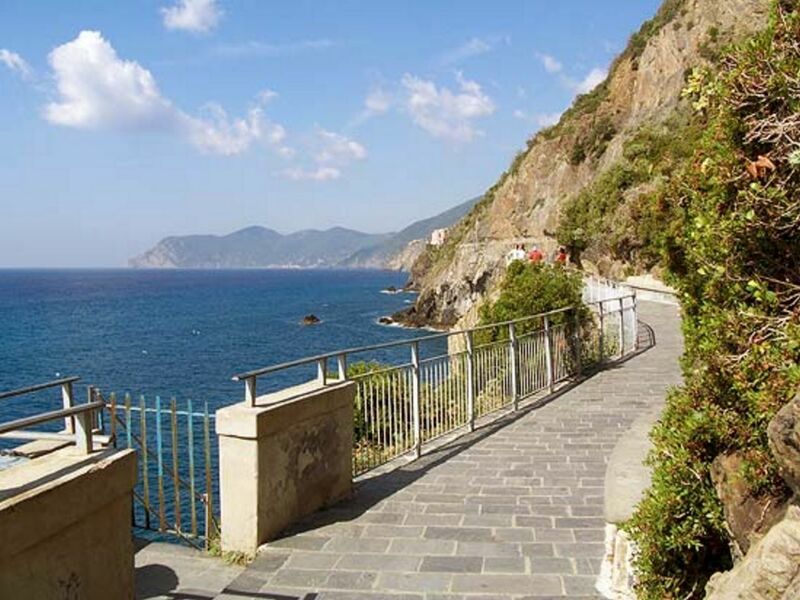 The only ways to reach or explore Cinque Terre is by way of trains, ferries and hiking trails. 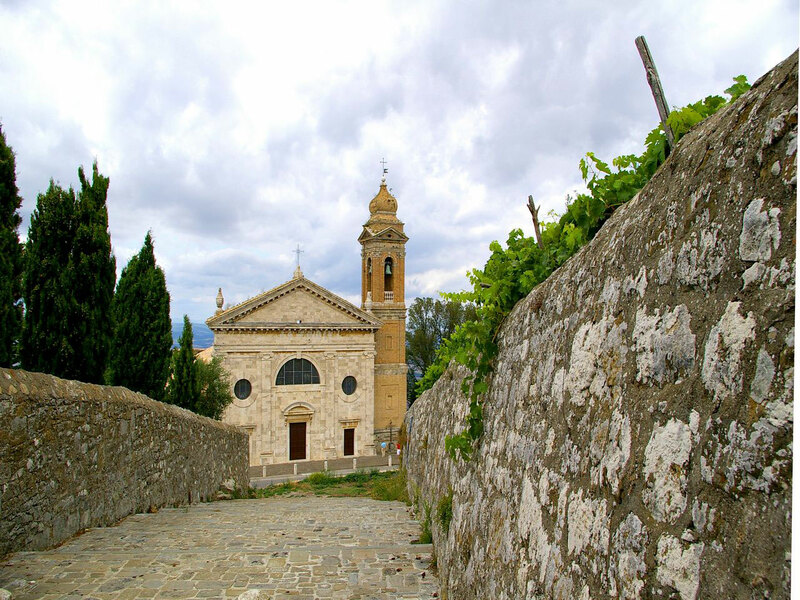 Part of the appeal of the area is its relatively untouched and urbanization-free appearance, the villages having retained their rural charm throughout the centuries. 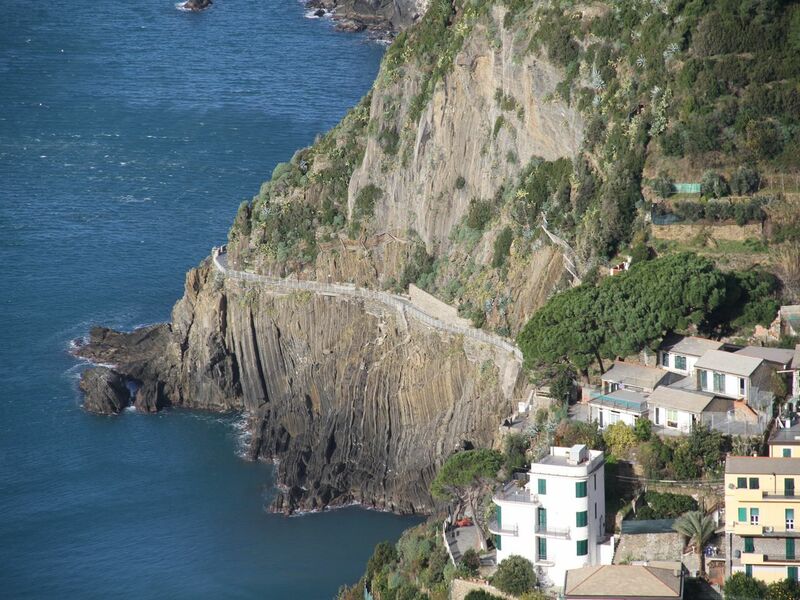 Categories: Places to Visit, Sightseeing Tours of Cinque Terre. 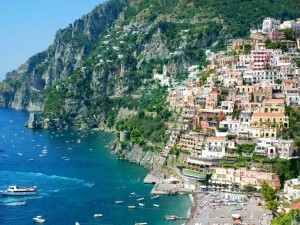 Tags: Cinque Terre, Genoa, Liguria, Manarola, Monterosso, Porto Venere, Portofino, Riomaggiore, Vernazza. 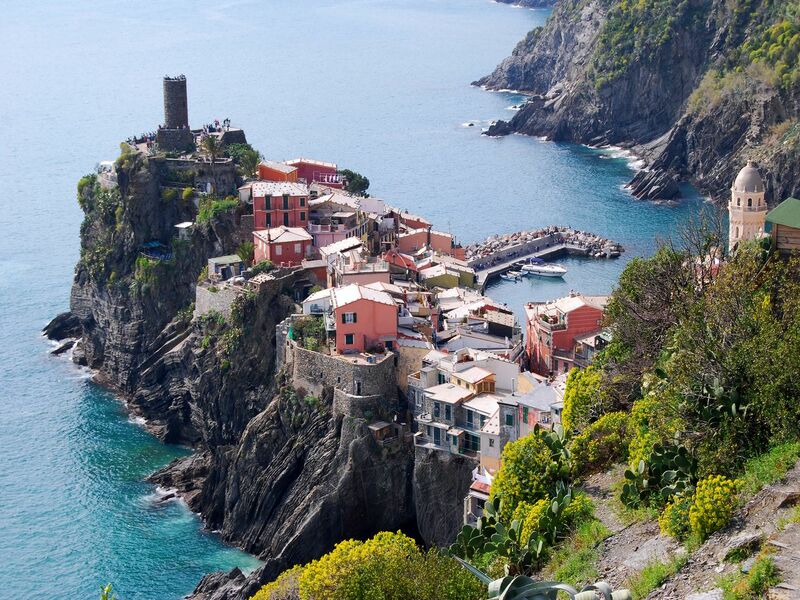 Monterosso and Vernazza are the oldest villages, having been built during the 11th century. 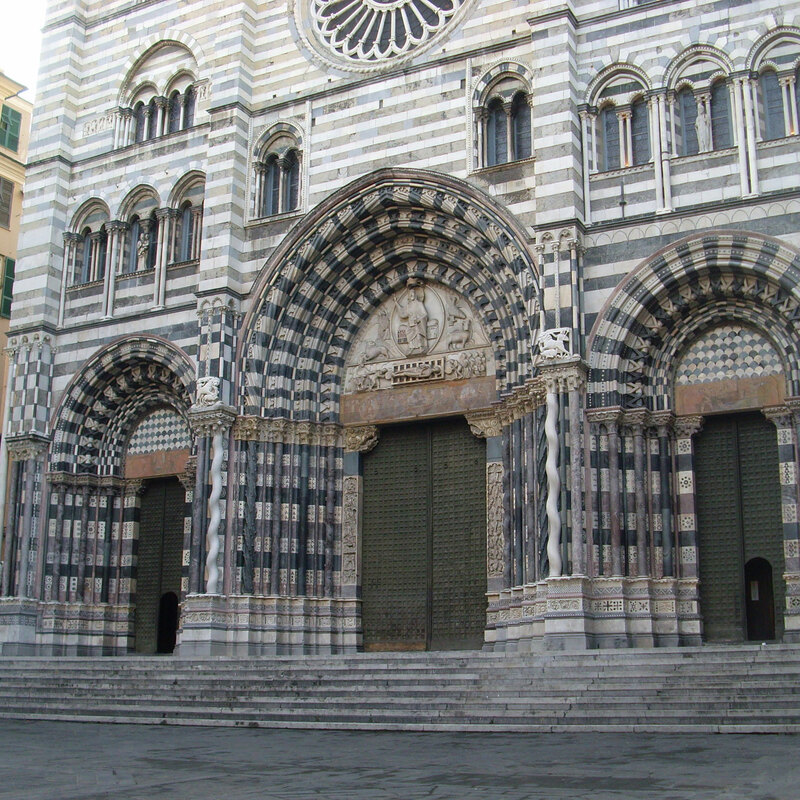 The others appeared later due to strong influences from the Republic of Genoa. 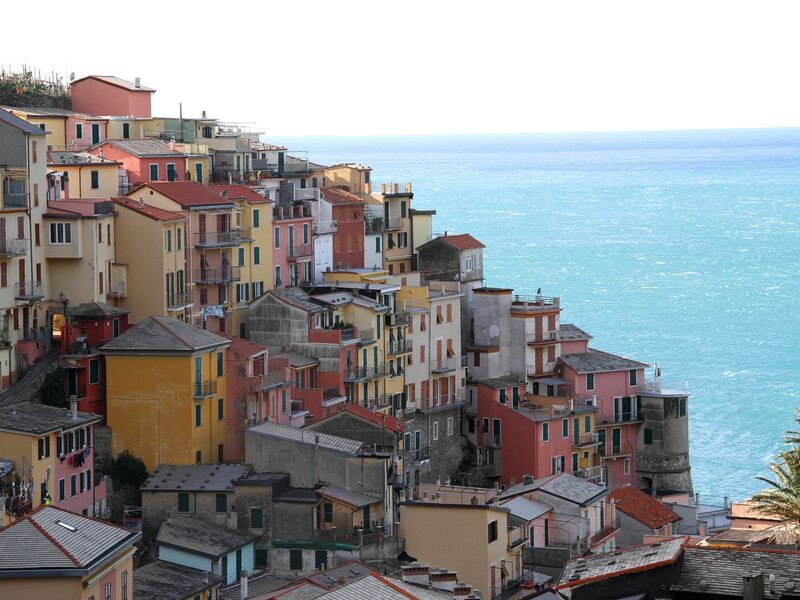 These villages were relatively small, relying on fishing as their main industry, then later wine. 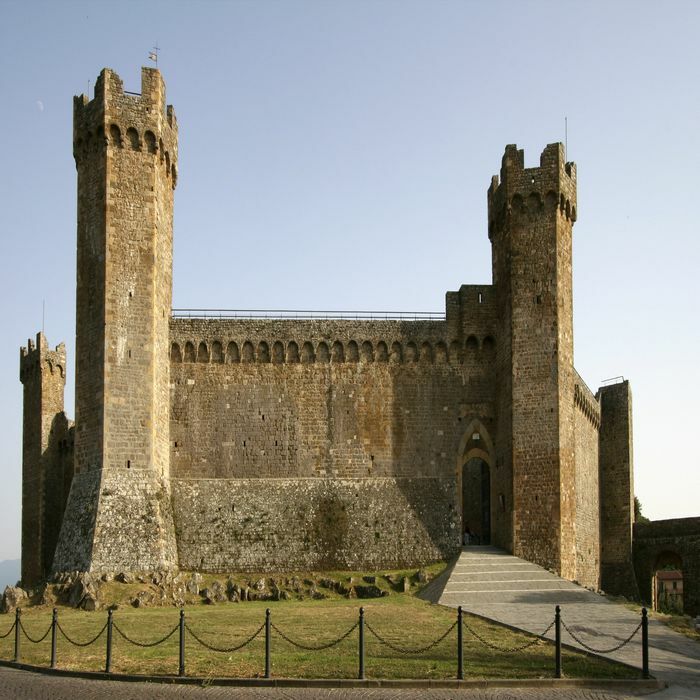 During the 16th century, several forts and towers were built or renovated to defend against Turkish raids, a number of these structures still standing today. 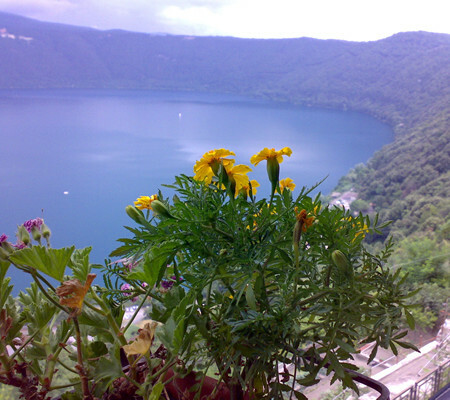 Castel Gandolfo is situated on the edge of the lake Albano which itself is located inside a crater of an ancient volcano. 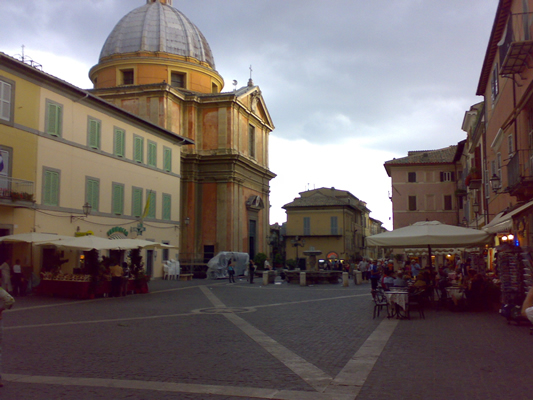 Castel Gandolfo is one of the smallest cities in the Castelli Romani region, only boasting approximately 8840 inhabitants. 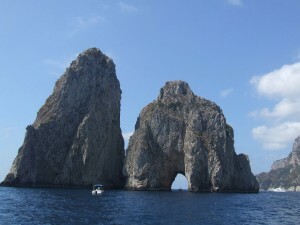 On the other hand, it is one of most scenic and beautiful places in Italy. 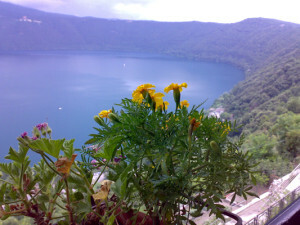 From its position on top of a hill, it offers a wonderful view on Lake Albano. 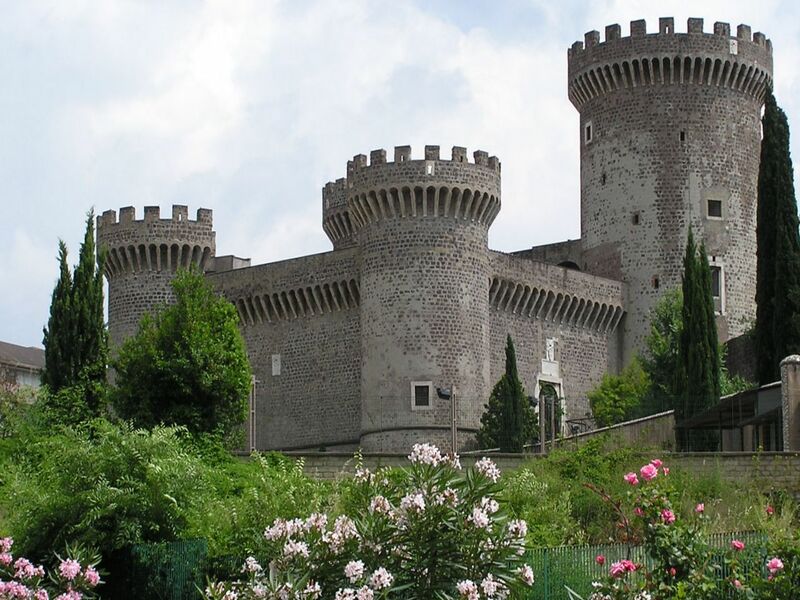 Castel Gandolfo is best known for the summer residence that Pope Urban VIII had constructed in 1628. 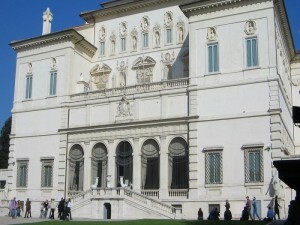 Plans for the palace were designed by the architect Carlo Moderno. 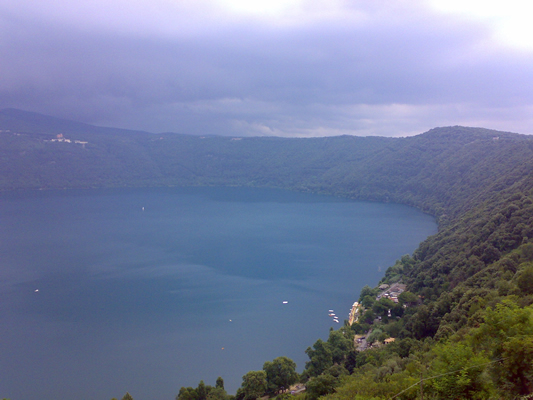 As time passed, Castel Gandolfo became the official summer residence for the different popes. 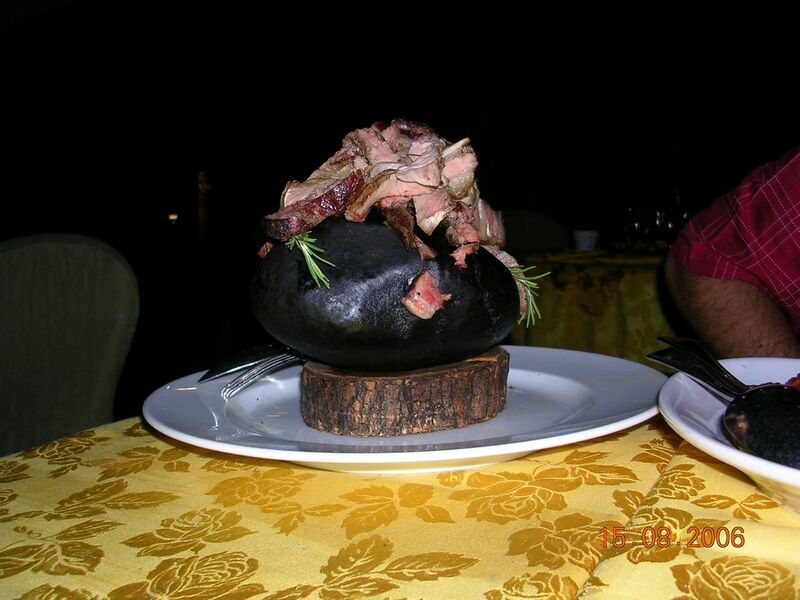 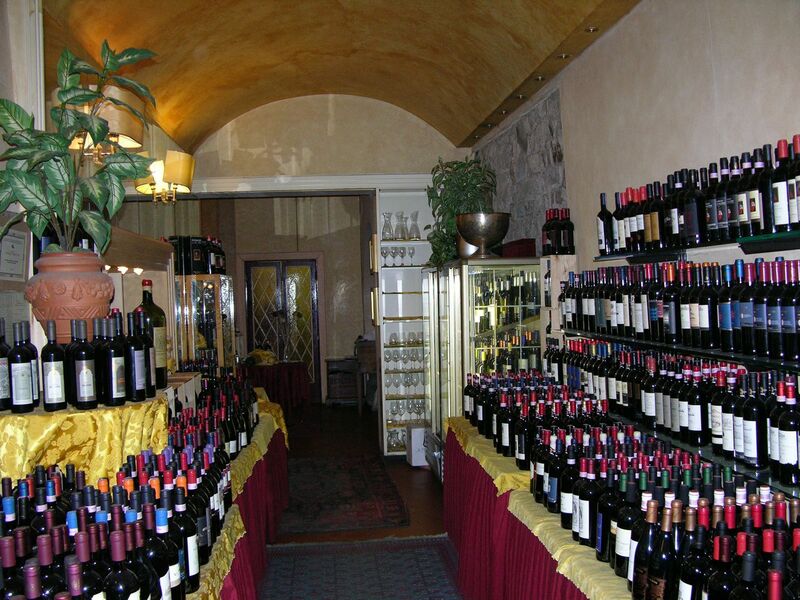 Categories: Places to Visit, Sightseeing Tours of Castelli Romani food & wine. 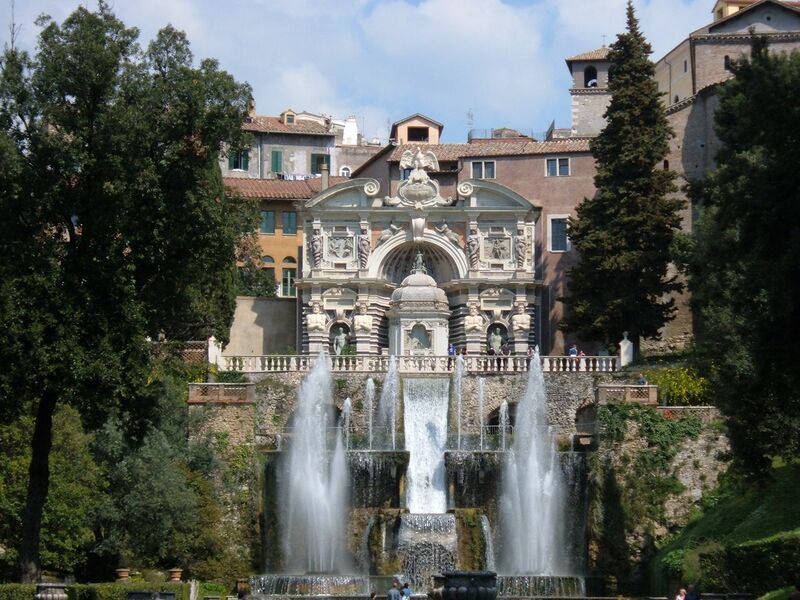 Tags: Barberini Gardens, Castel Gandolfo, Lake Albano, Pope residence. 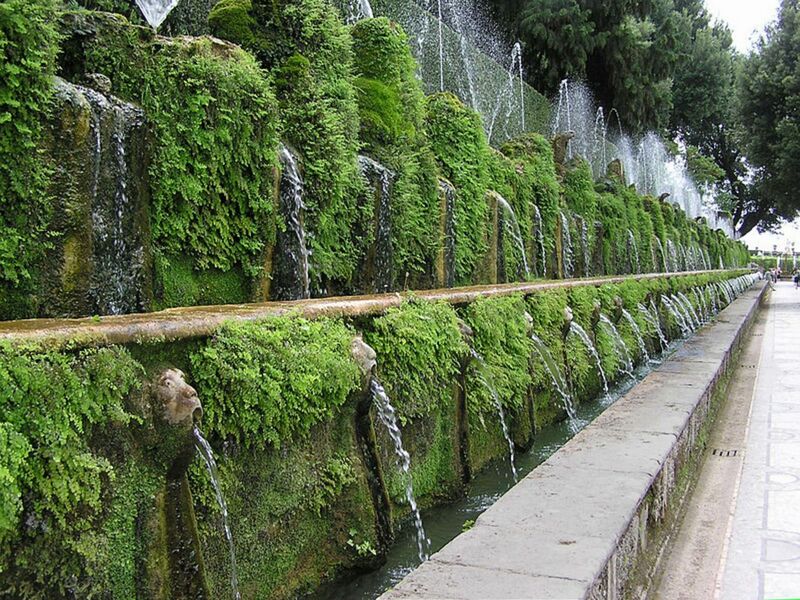 Castel Gandolfo became one of the ancient Romans’ favorite summer destinations. 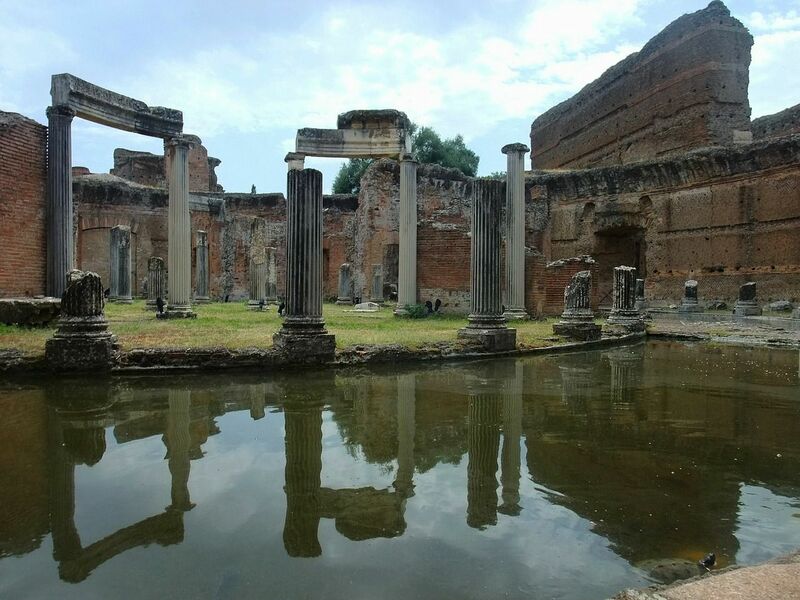 Many aristocratic families built their own houses and palaces, such as the Villa Domitian. 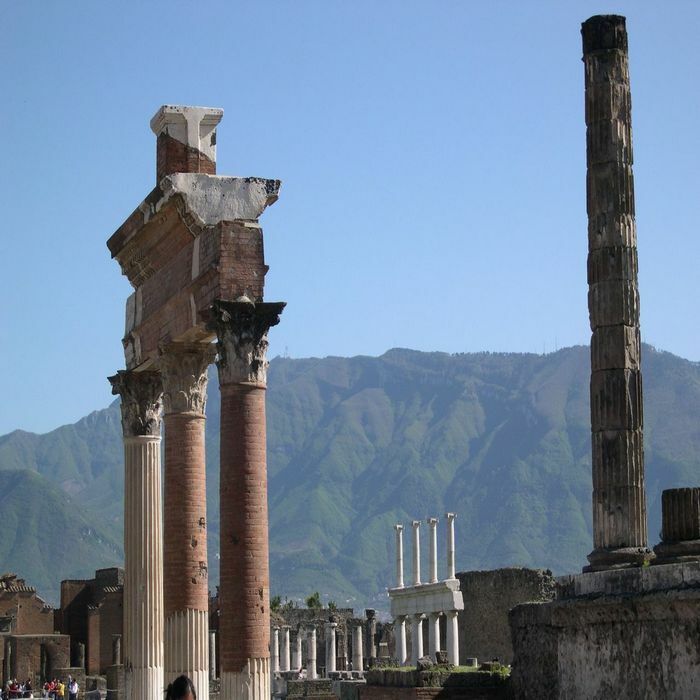 Domitian was the last emperor of the Flavian Dynasty. 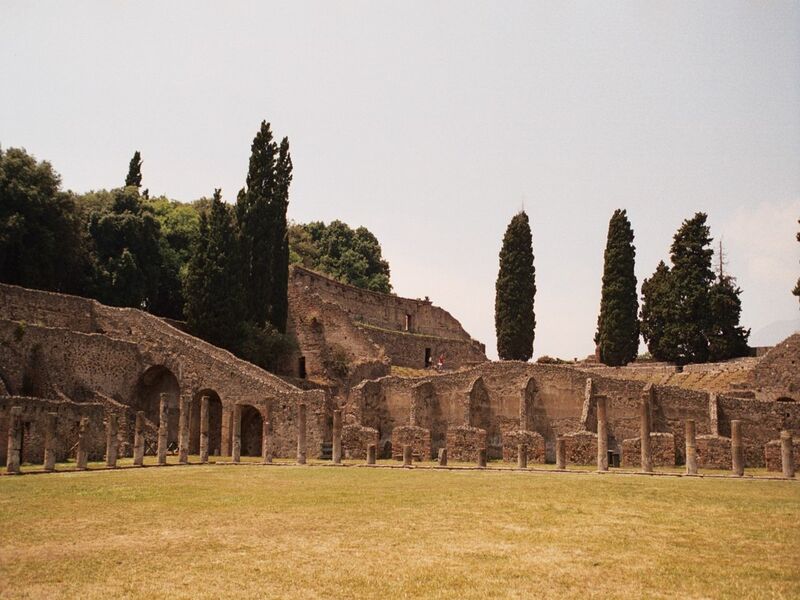 Villa Domitian had been built on the western part of the hill overlooking the Tyrrhenian Sea. 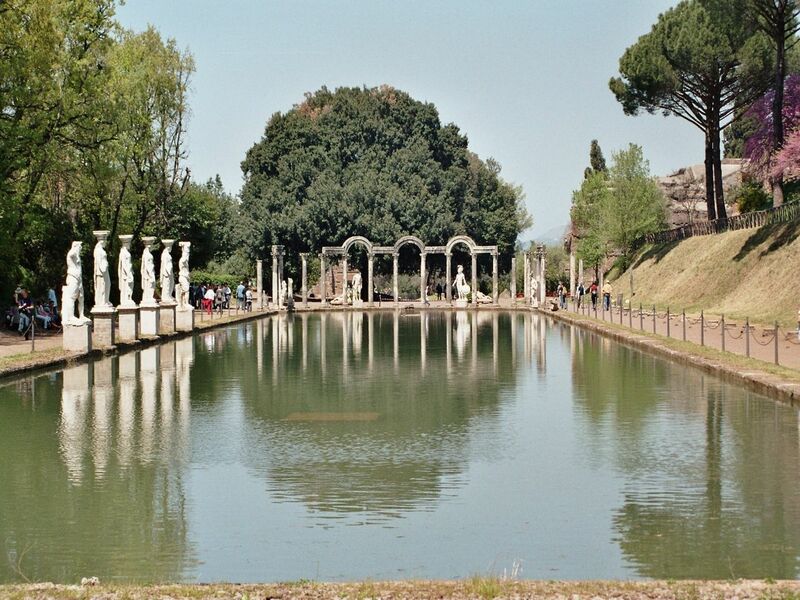 The Emperors Hadrian, Septimus and Constantine all enjoyed the villa as well. 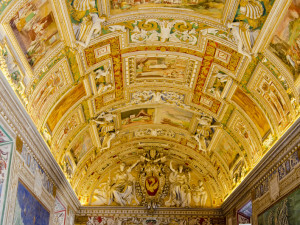 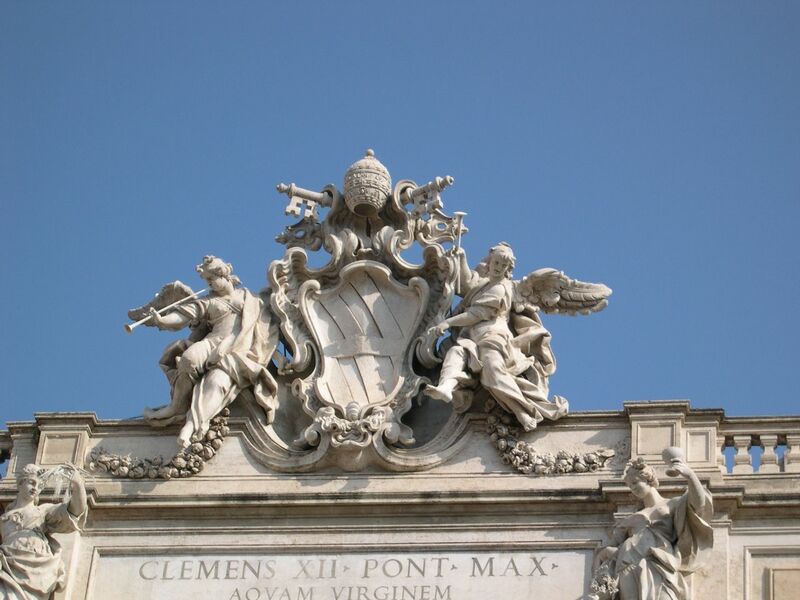 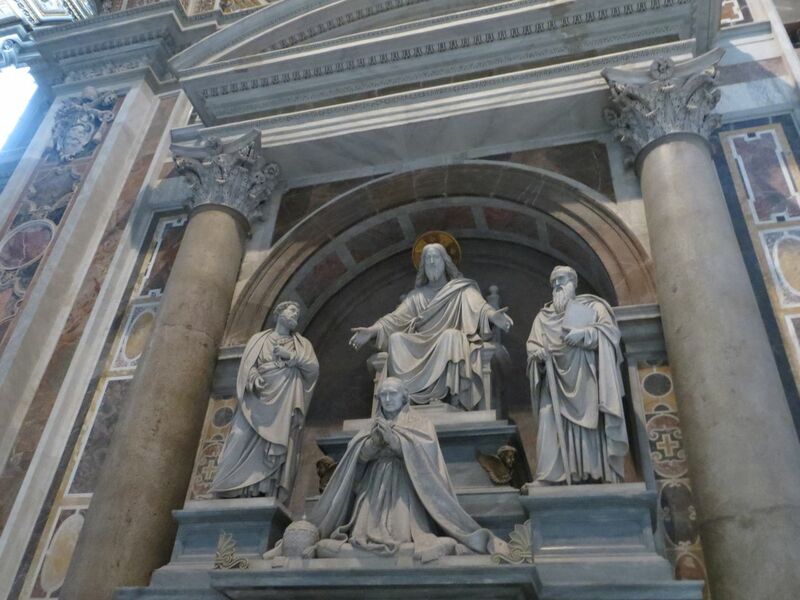 In 1221, the villa was the Savelli family’s property but because of the numerous debts they had, Pope Clement VIII added the villa to the Holy See’s property. 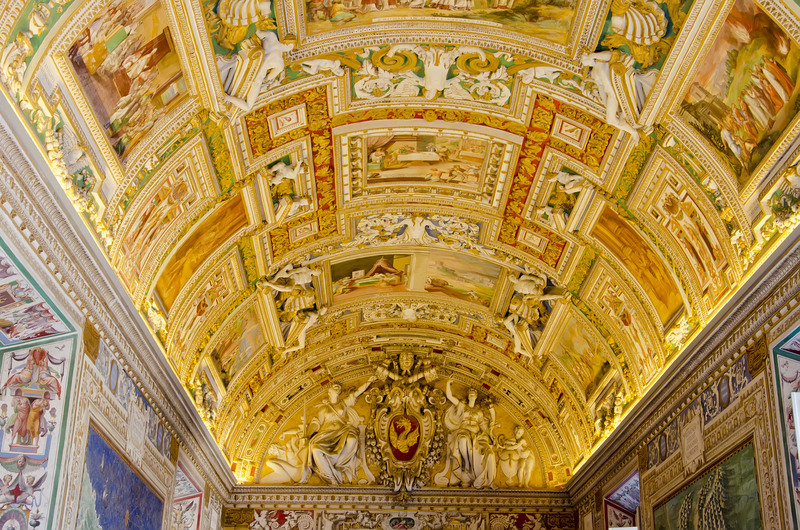 In 1929, via the Lateran Treaty, Benito Mussolini offered the villa back to the Vatican City and was listed among the buildings with extra territorial privilege. 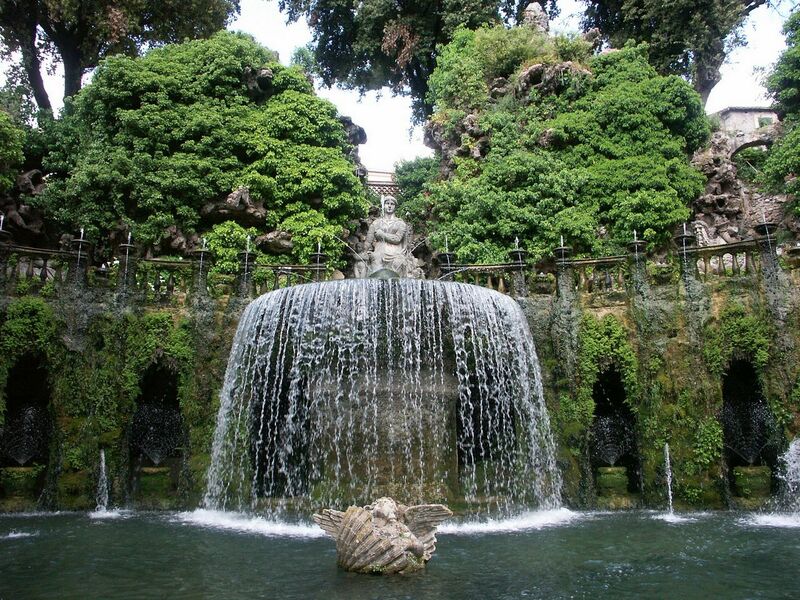 In spring 2014, Pope Francis opened the gardens of the pope’s residence to the public so now, it is possible to admire the Barberini Gardens and enjoy a breathtaking view of Lake Albano. 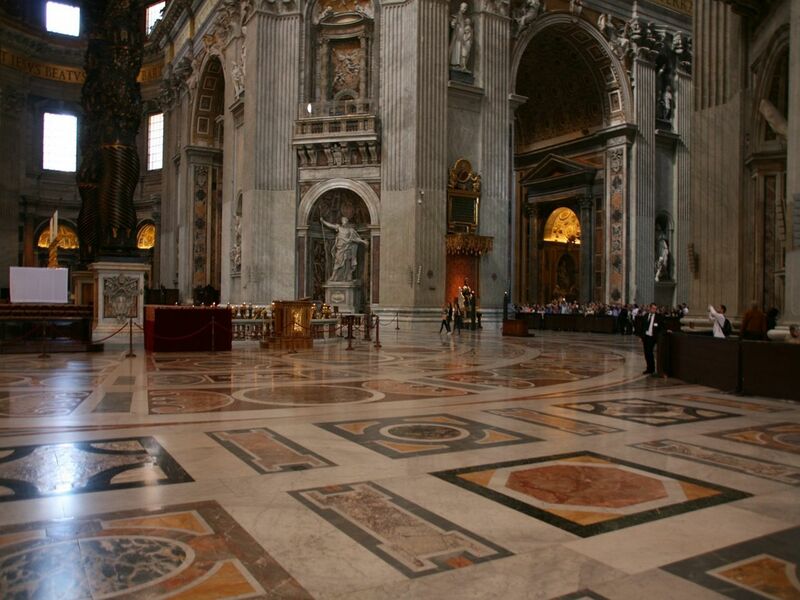 There is even a small guided group visit which lasts approximately one hour. In August, some Papal audiences were given in Castel Gandolfo.